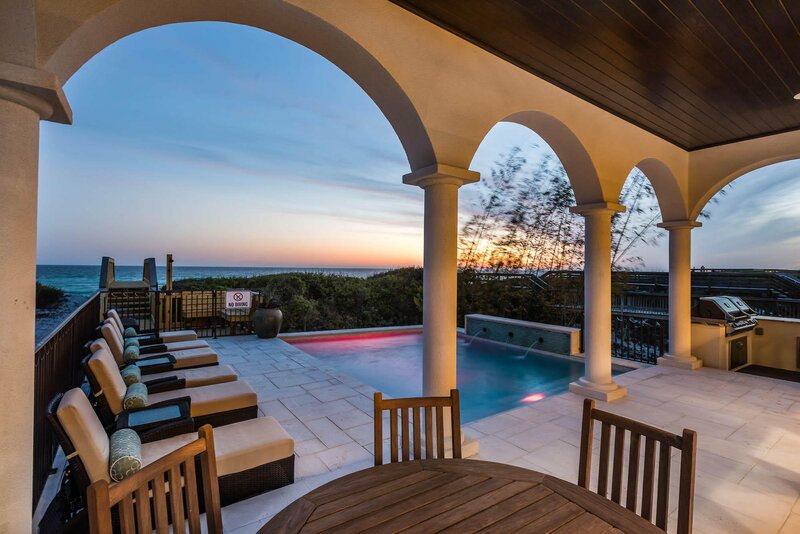 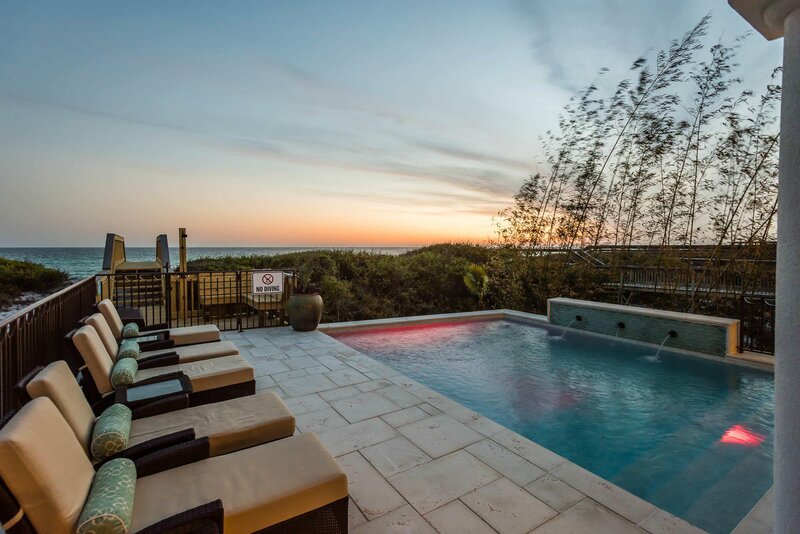 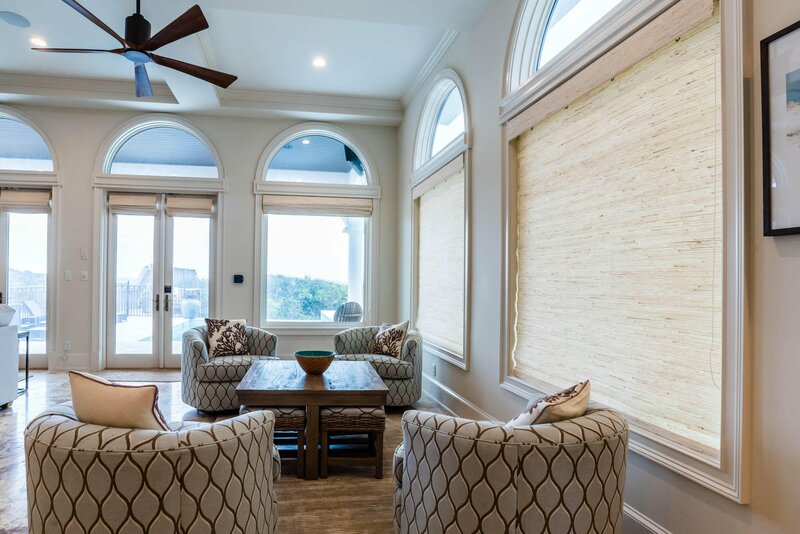 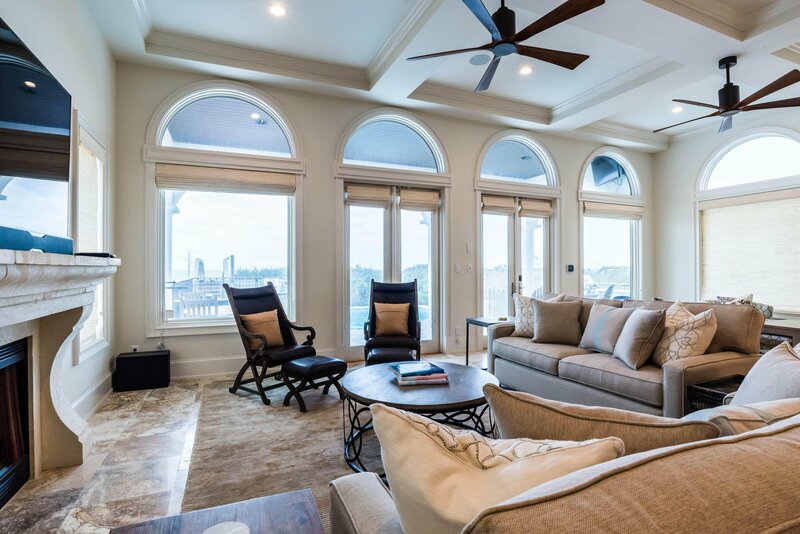 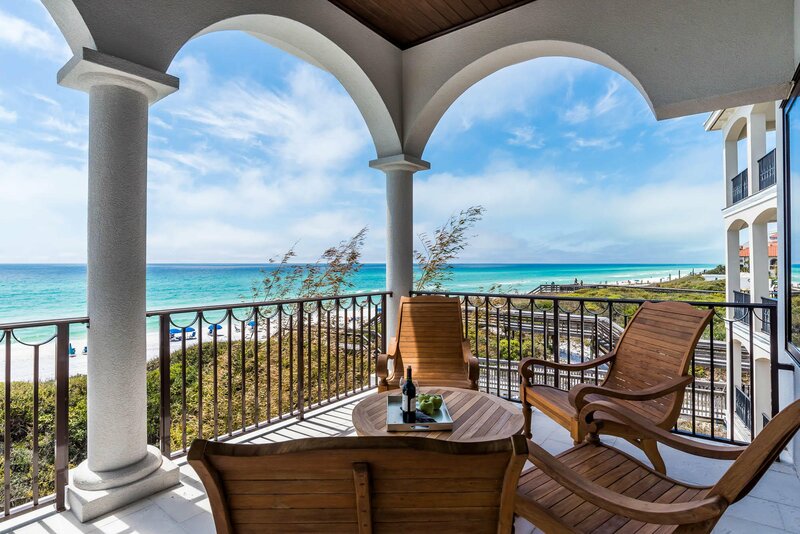 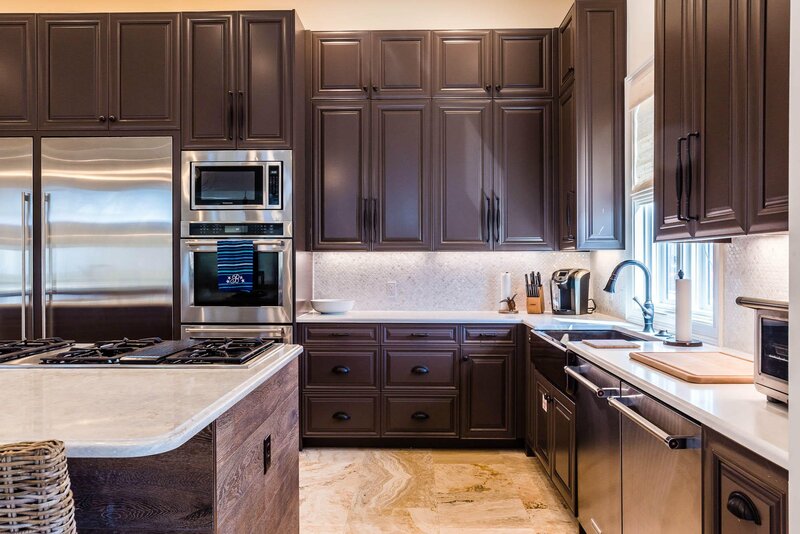 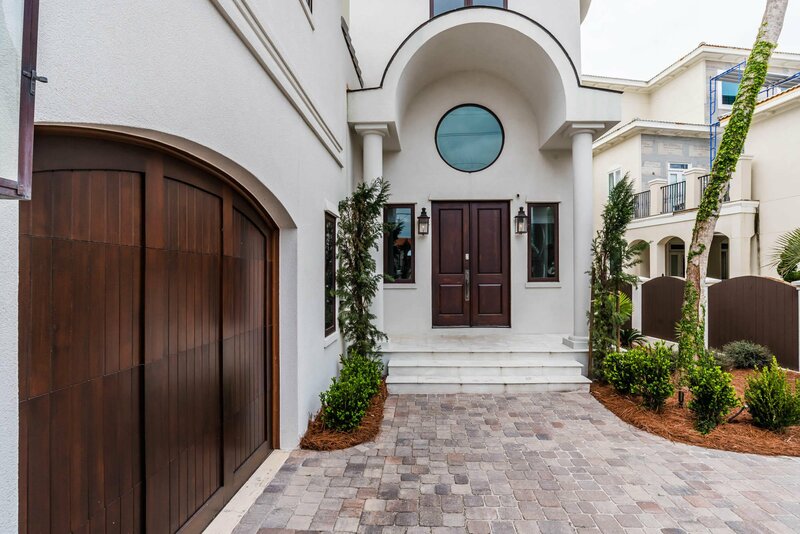 Experience luxury Gulf front living on 30A. 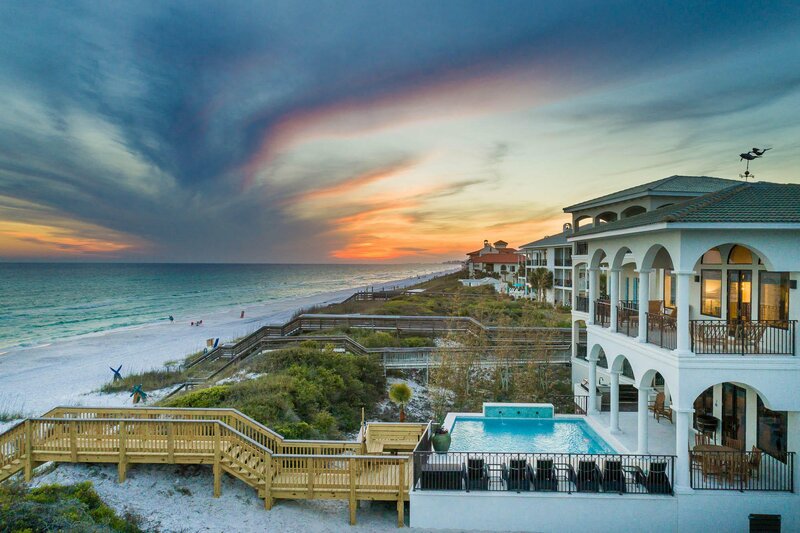 Towering over the Gulf of Mexico, breathtaking views from every room await! 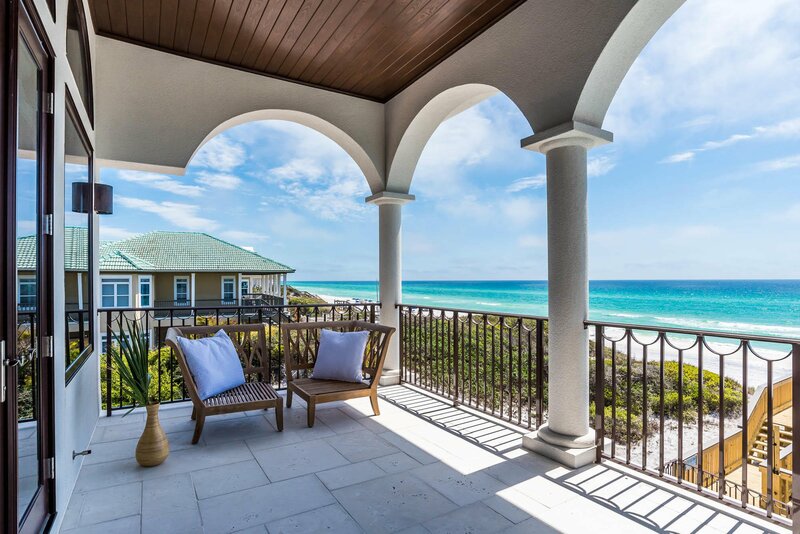 Stunning architecture and spacious design characterize this private beachside retreat. 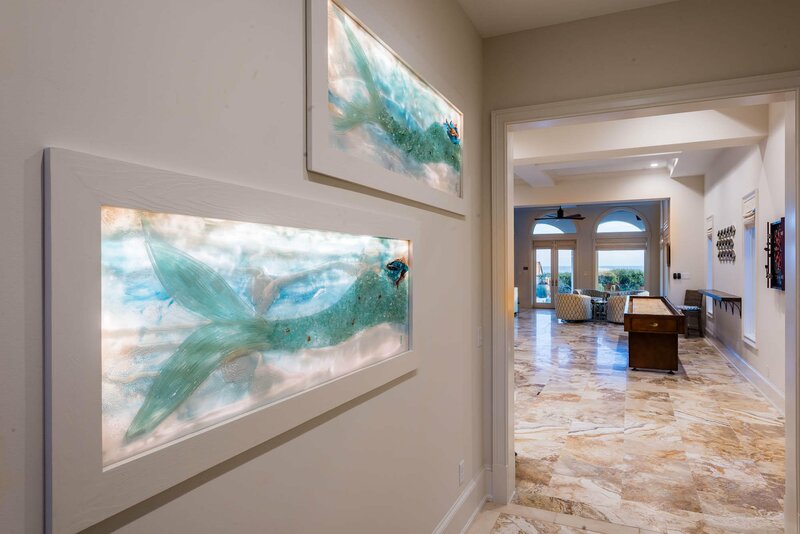 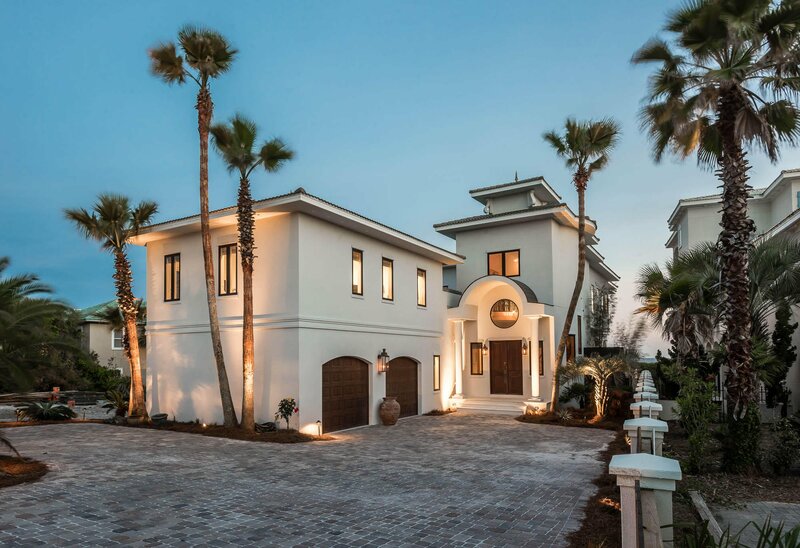 Features of this astonishing home include a lavish Gulf side pool, private beach walk-over, a well-equipped summer kitchen, a state-of-the-art home theater, designer interiors and luxury finishes. 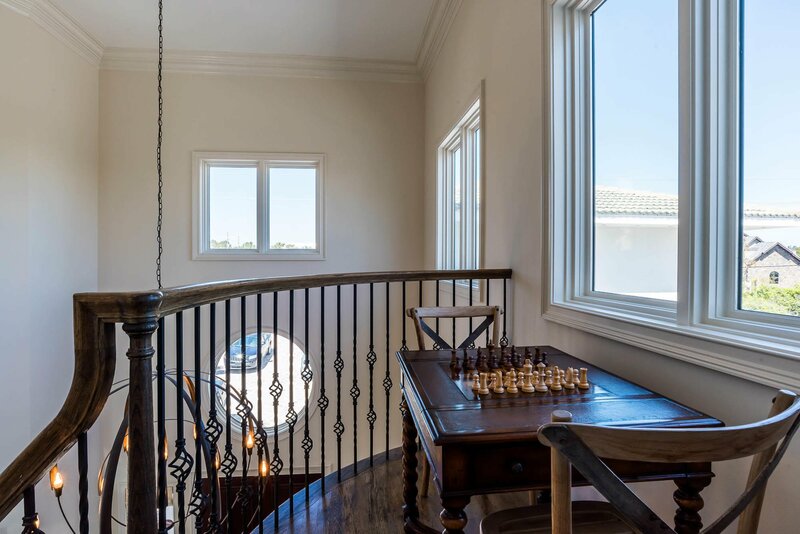 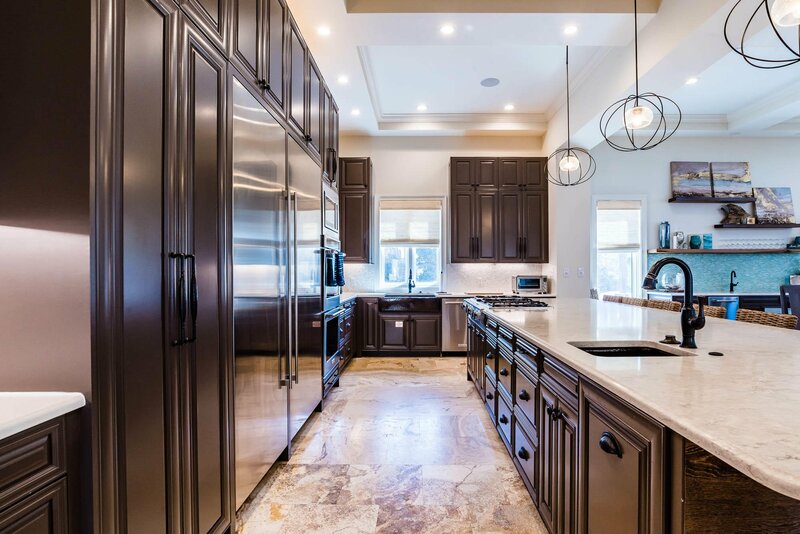 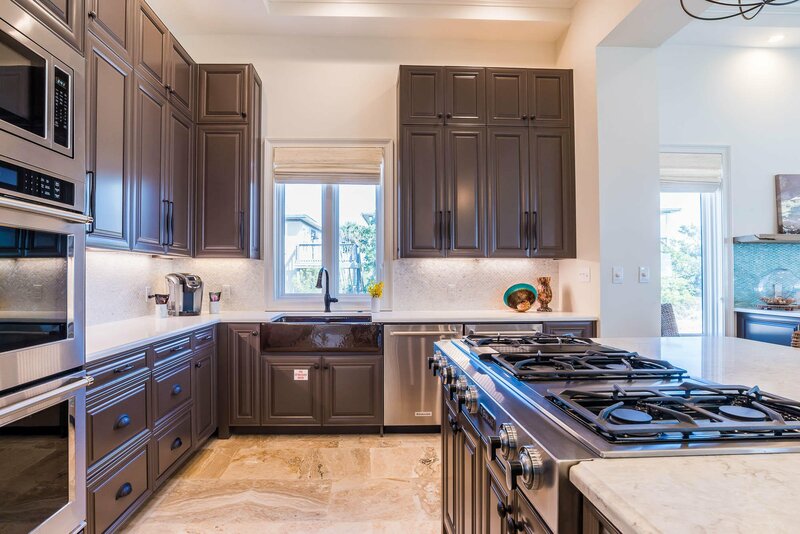 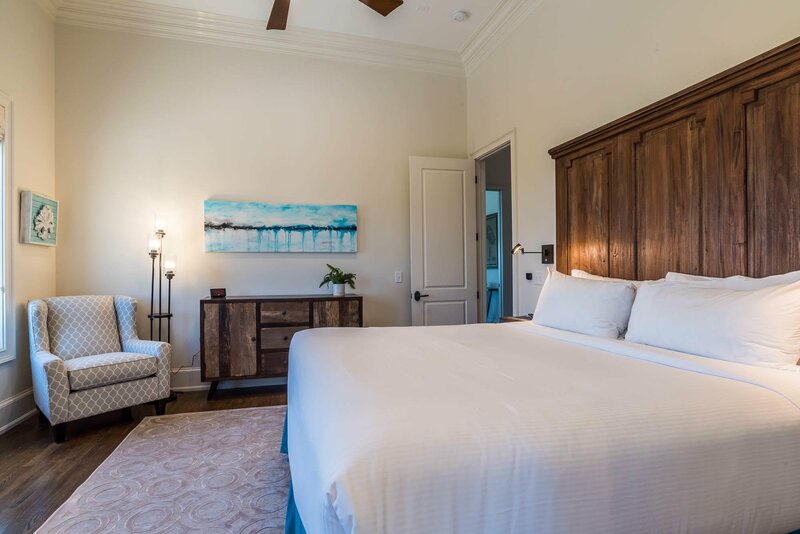 This fully renovated 5,743 square foot home offers a jaw-dropping master suite, 3 king junior suites, one queen suite, two bunk rooms, and 6.5 bathrooms; comfortably sleeping 24. 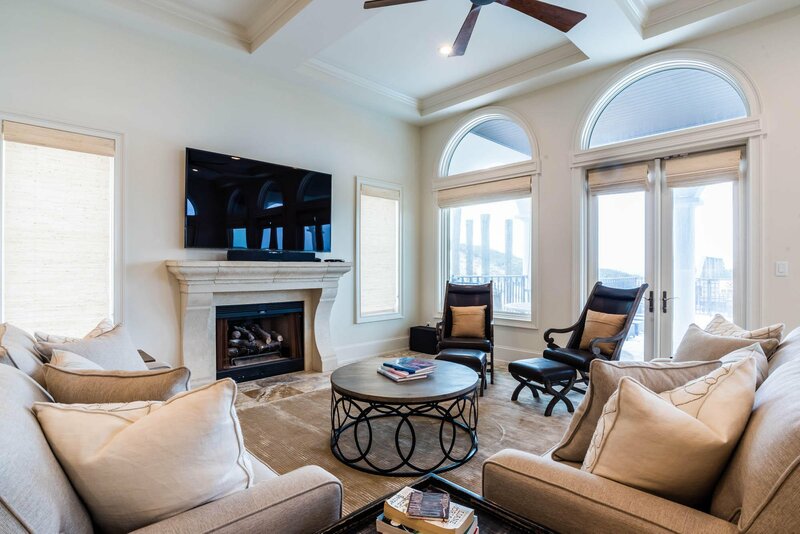 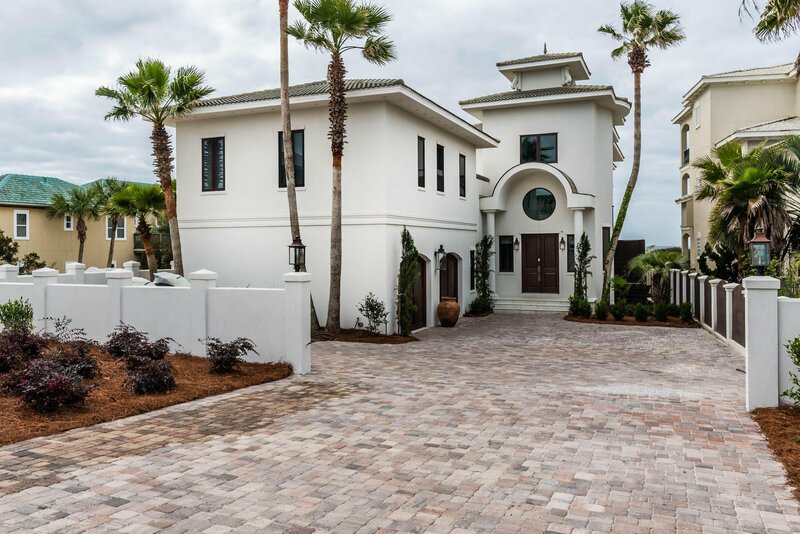 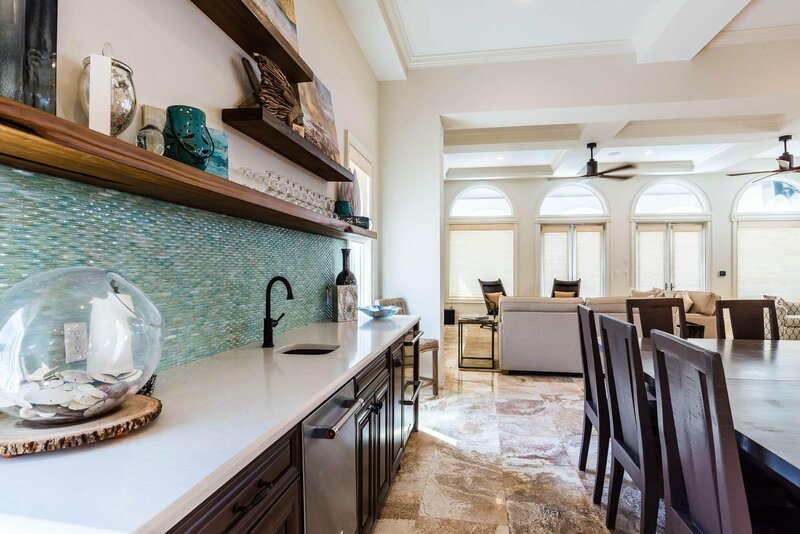 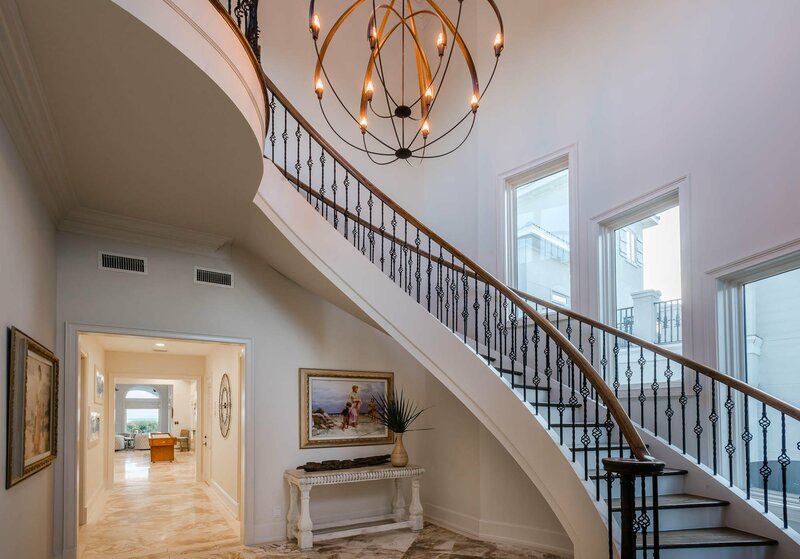 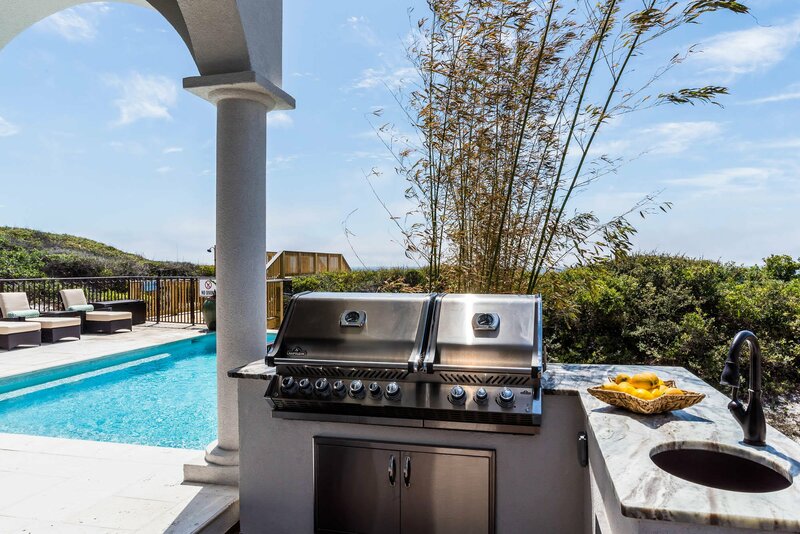 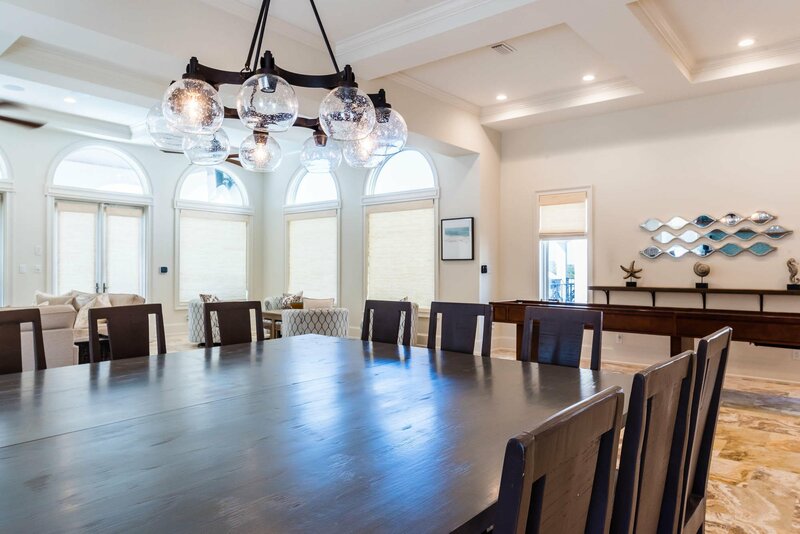 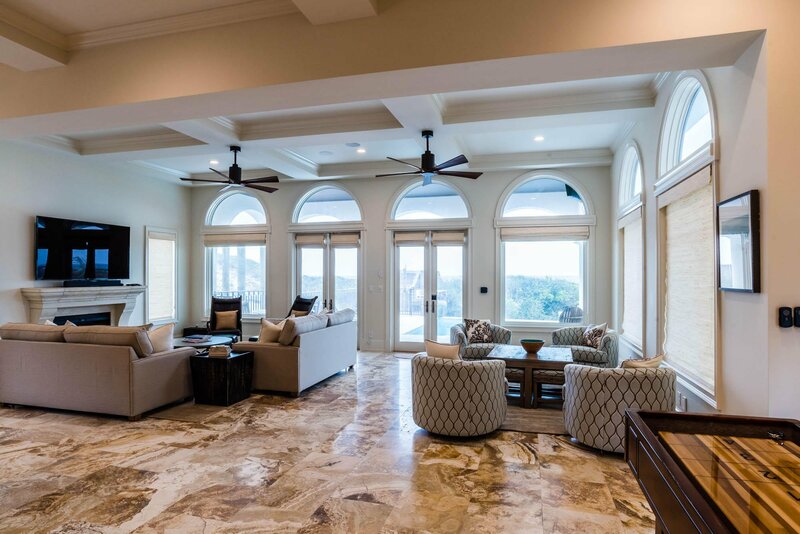 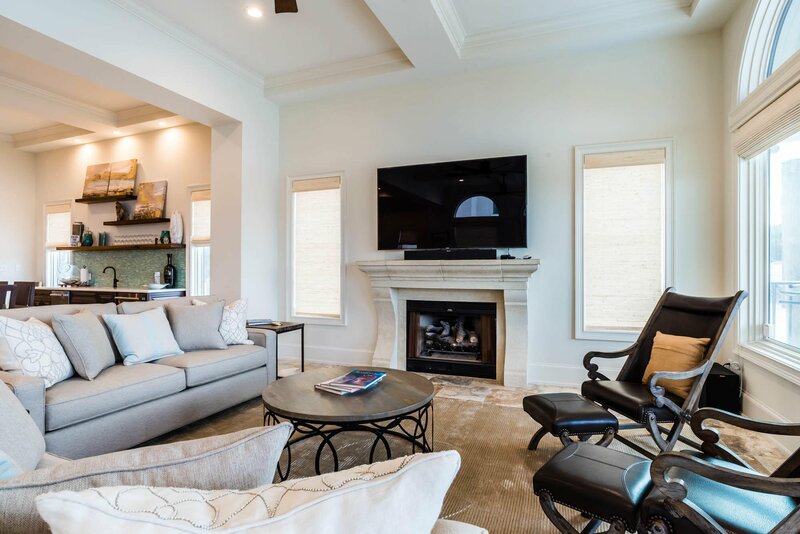 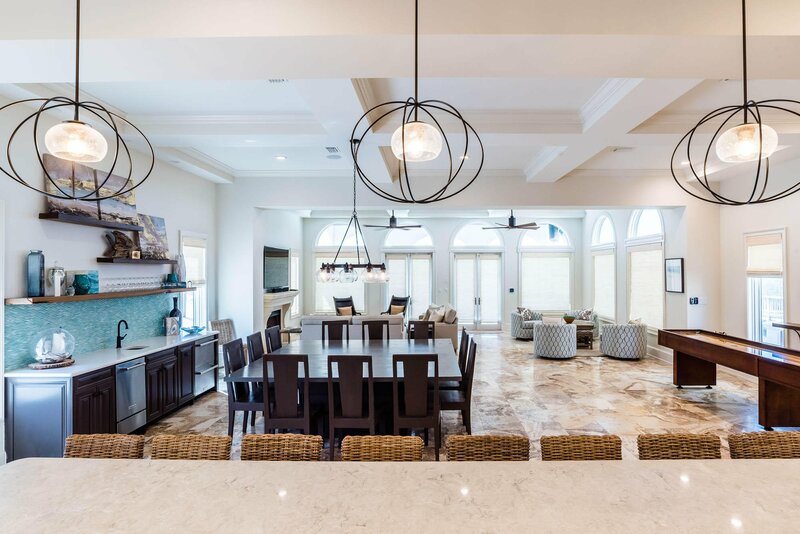 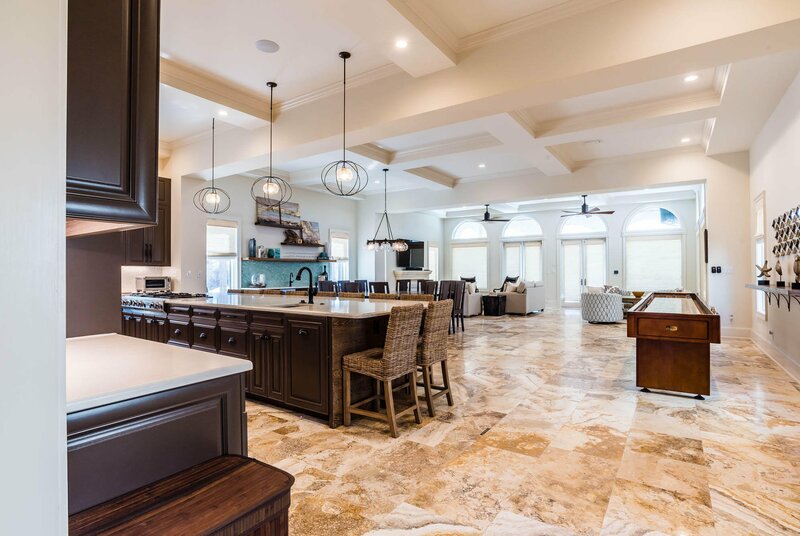 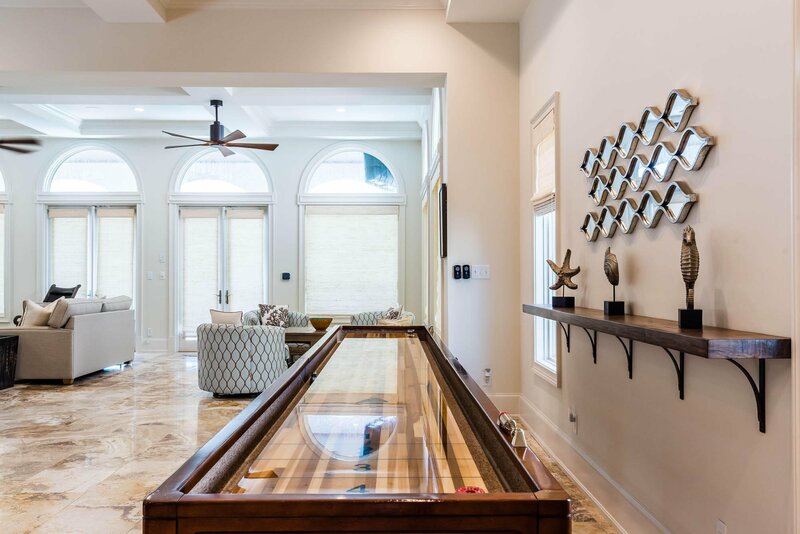 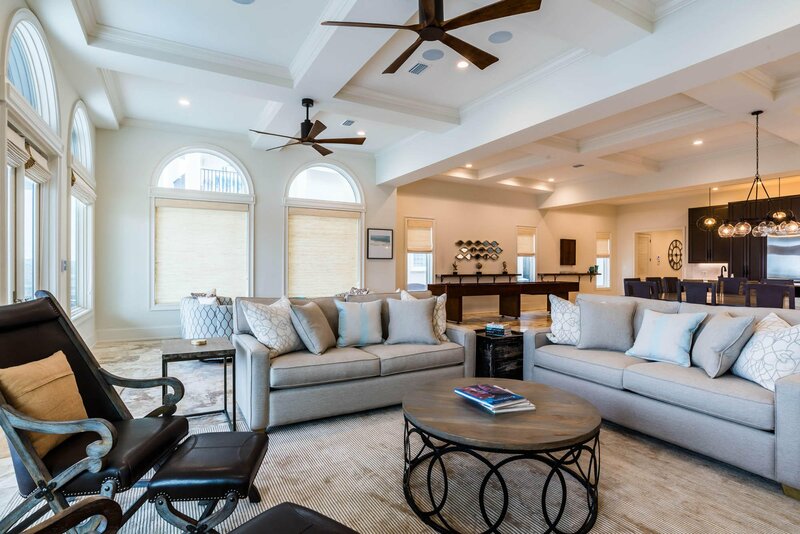 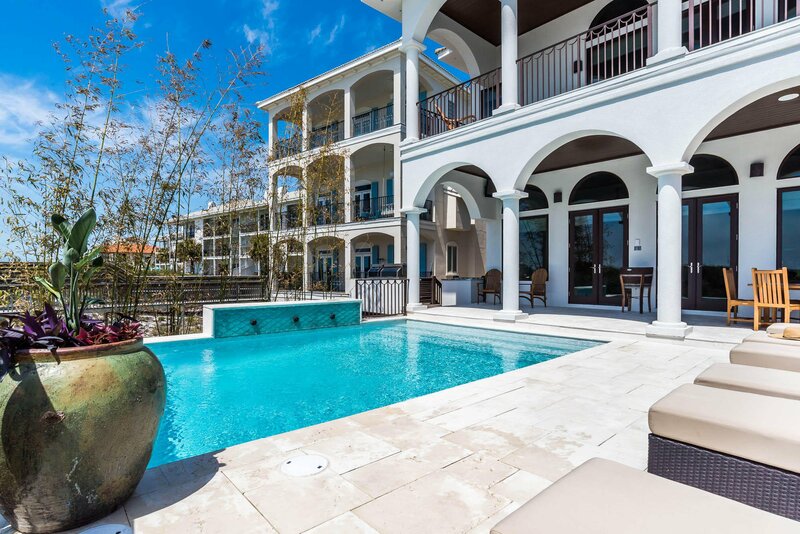 The property boasts an enormous great room overlooking the Gulf of Mexico featuring a chef's kitchen, custom shuffle board table, dining for the entire family, wet bar, and a spacious living area centered around a grand fireplace. 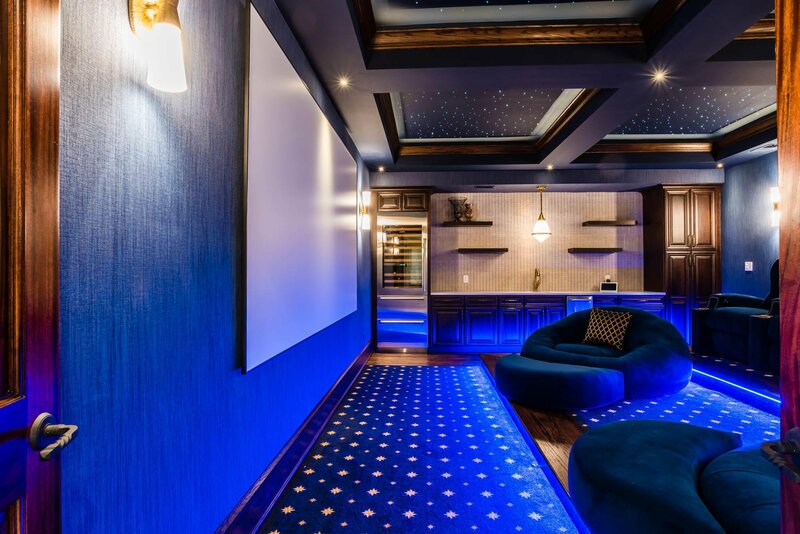 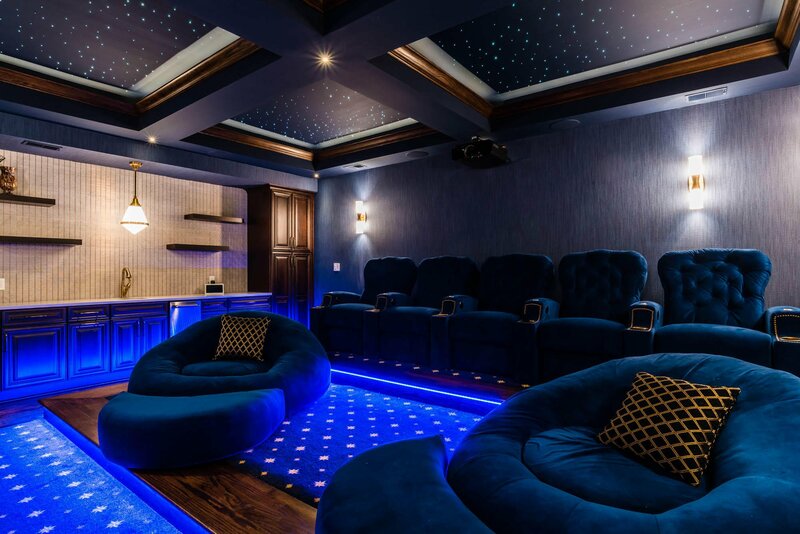 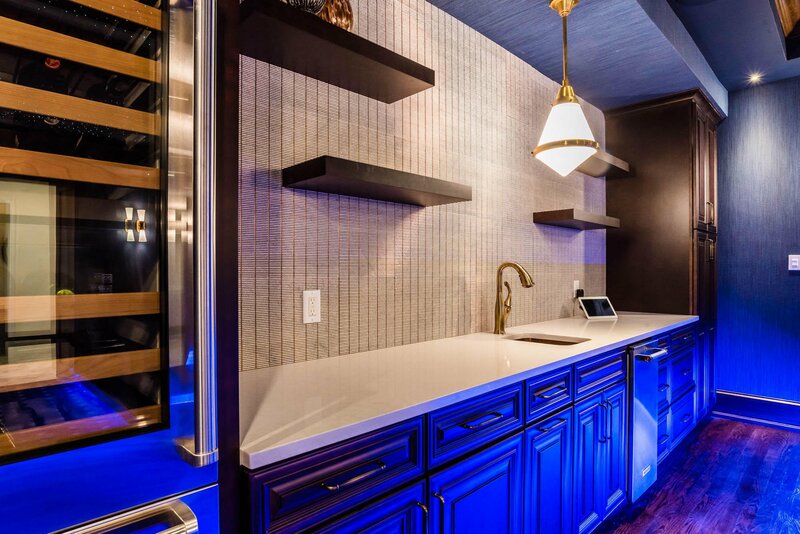 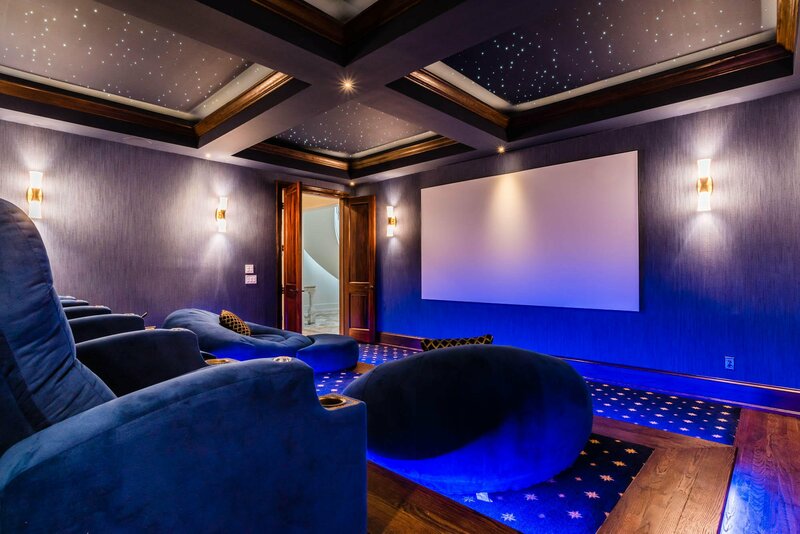 The massive private theater is situated off the great room and offers theater seating, incredible surround sound, programable lighting, a large wine cooler and a well-equipped wet bar. 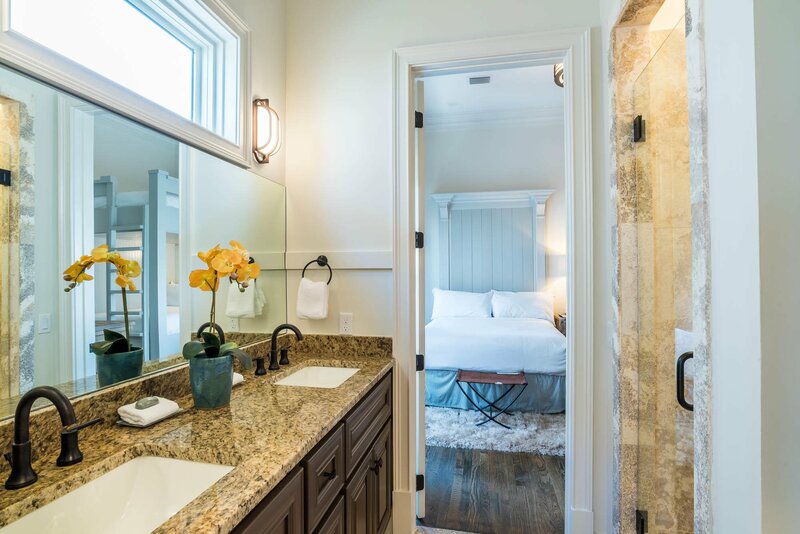 Additionally on the first level, you will find a beautiful junior king suite boasting a lavish master bath with free-standing soaking tub. 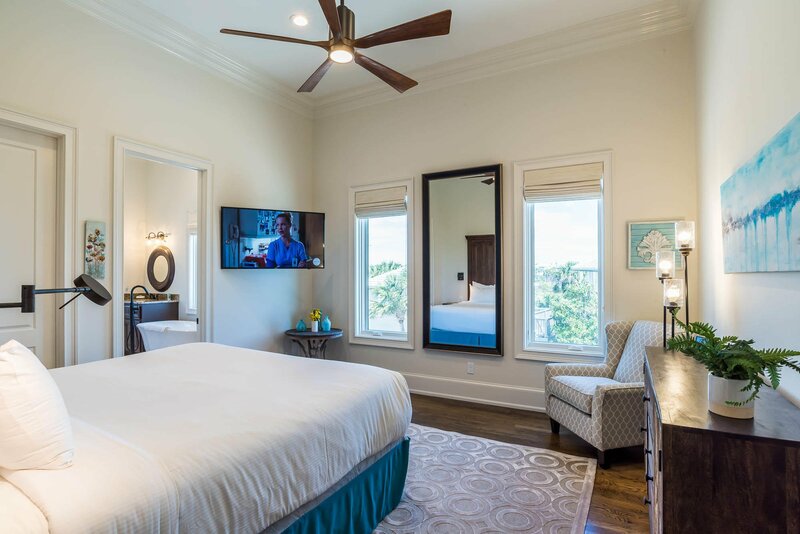 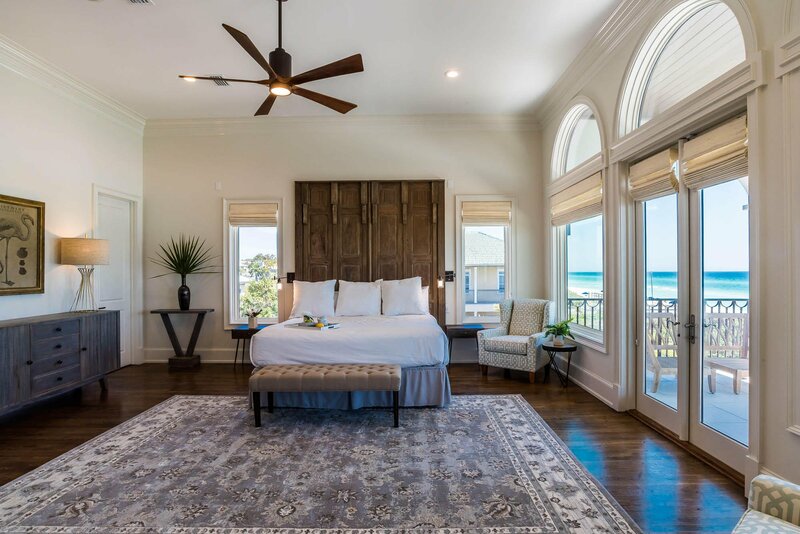 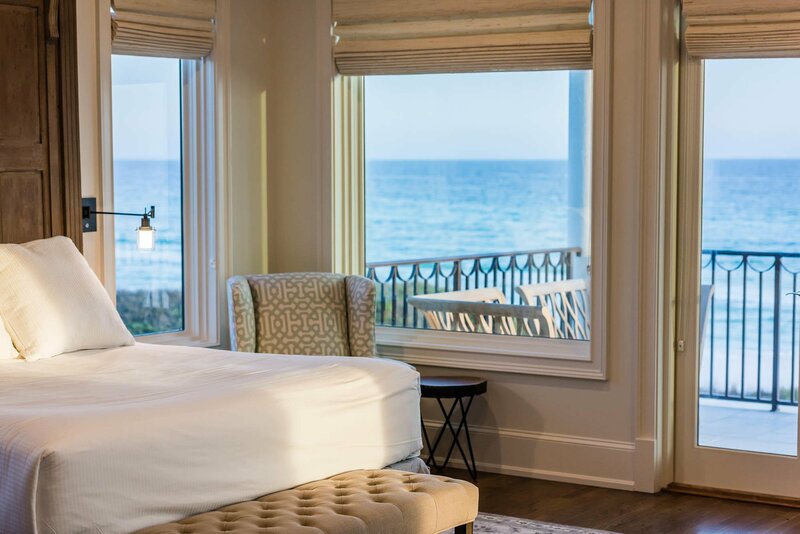 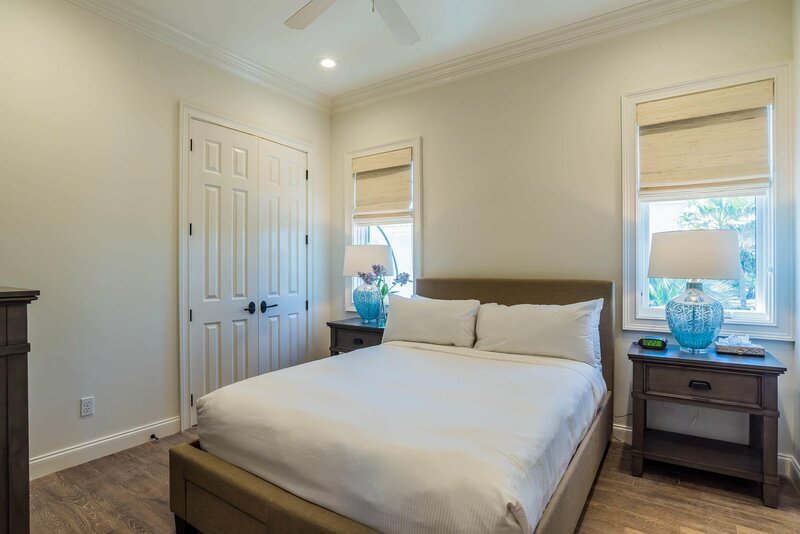 The large private master suite is located on the second floor and offers incredible views of the Gulf from the enormous bedroom, exquisite bathroom and private porch. 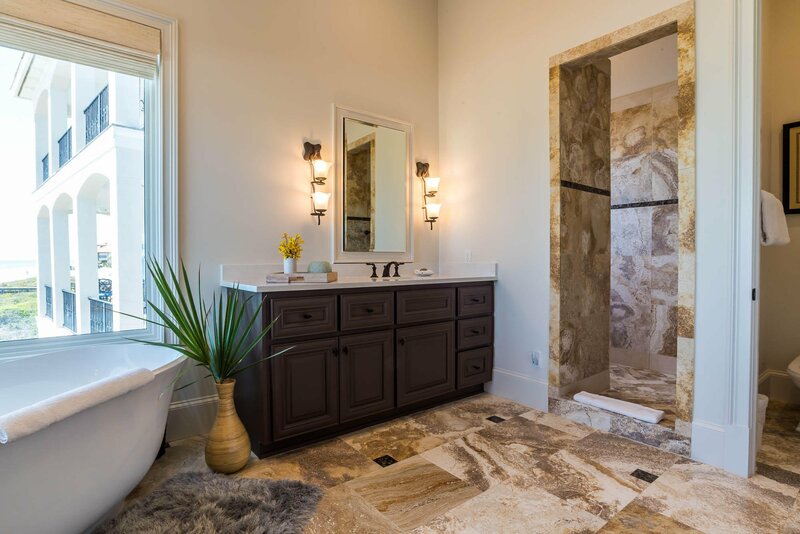 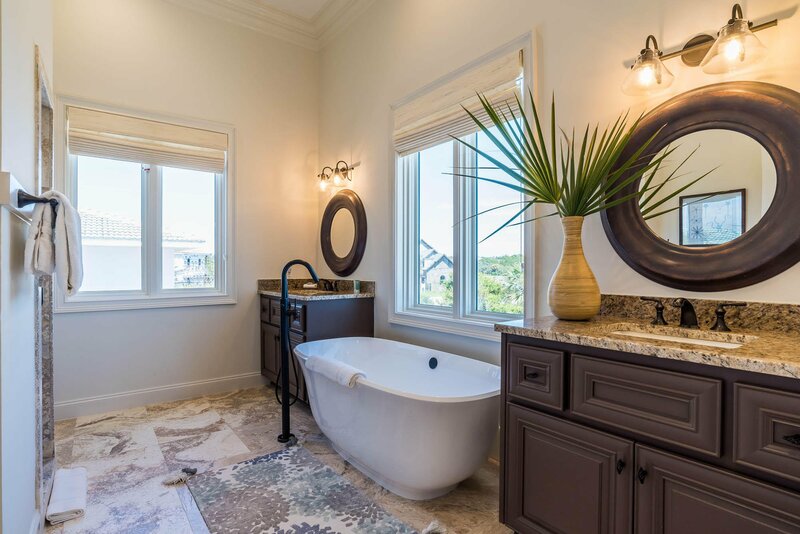 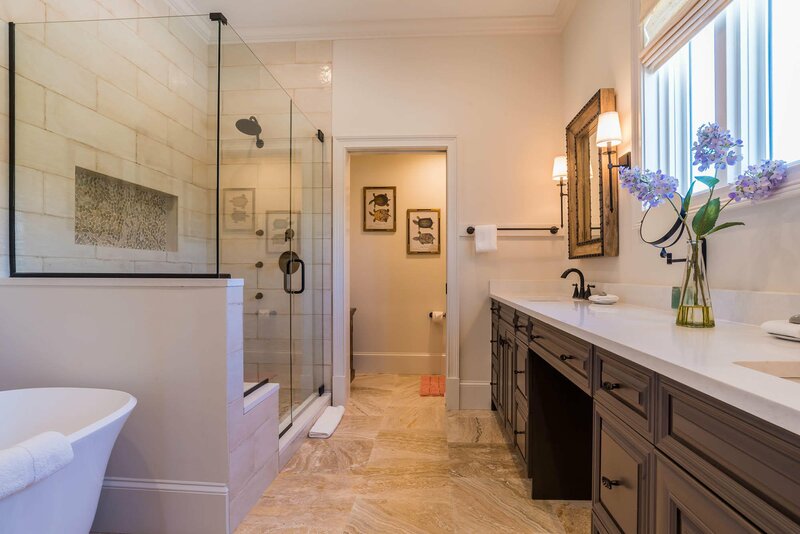 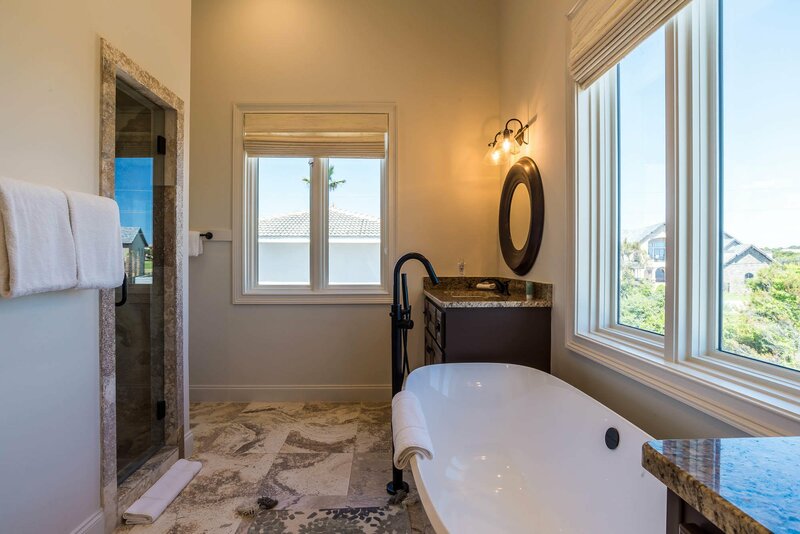 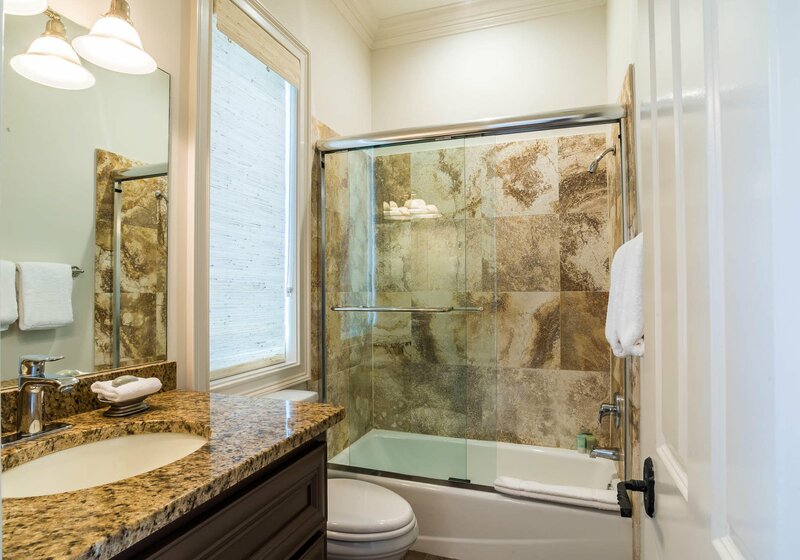 The spacious master bathroom offers an additional freestanding tub and massive walk-in shower! 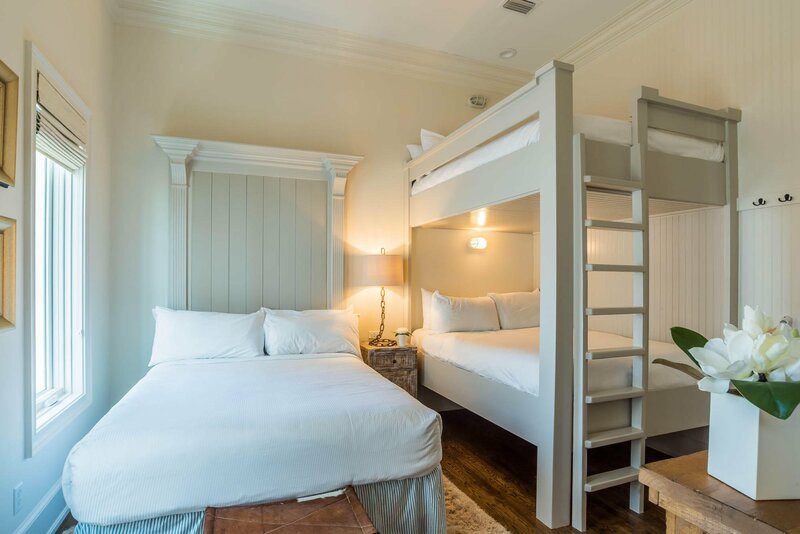 Additionally, on the second floor you will find the next junior suite, two bunk rooms and an additional bathroom. 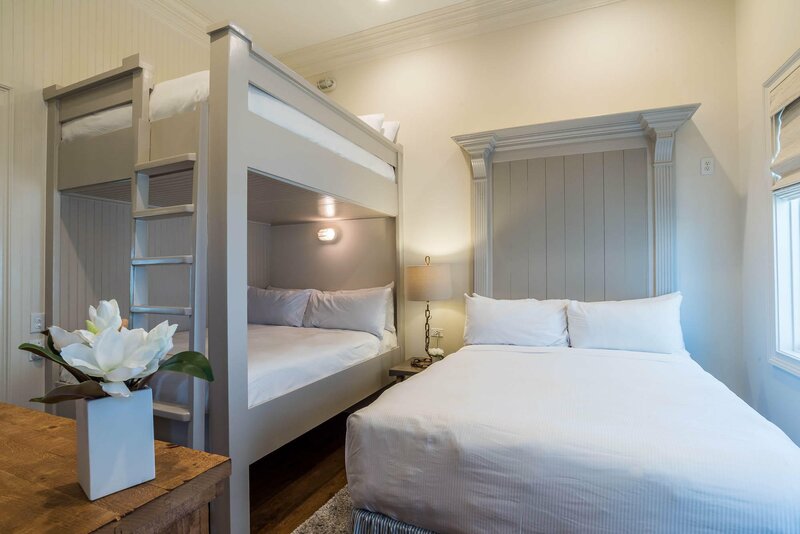 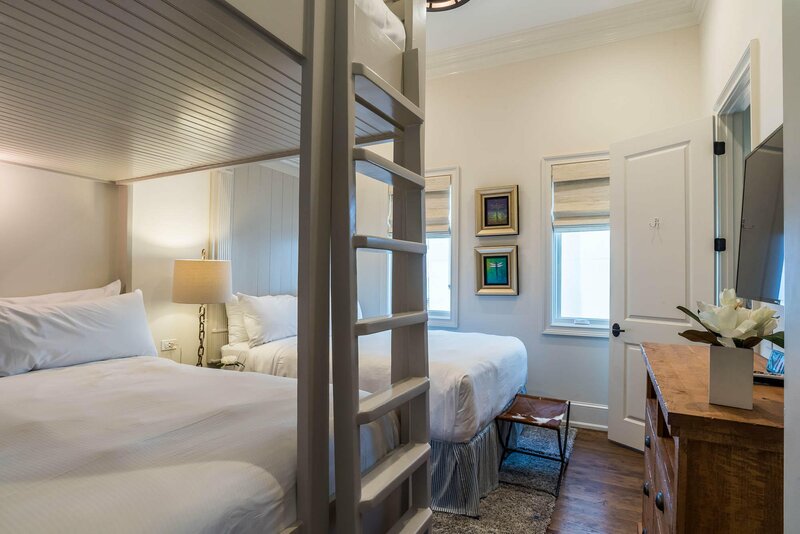 The secluded carriage house provides a private space away from the main house and contains a separate kitchen, living space, bedroom and bathroom. 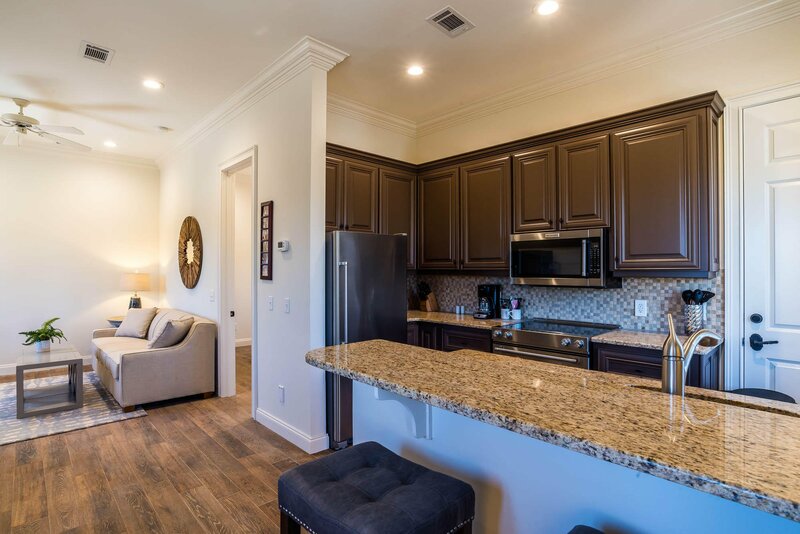 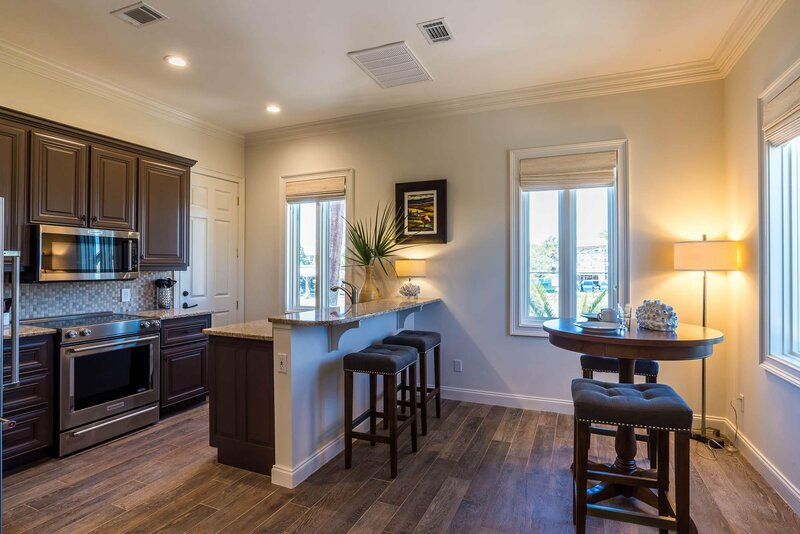 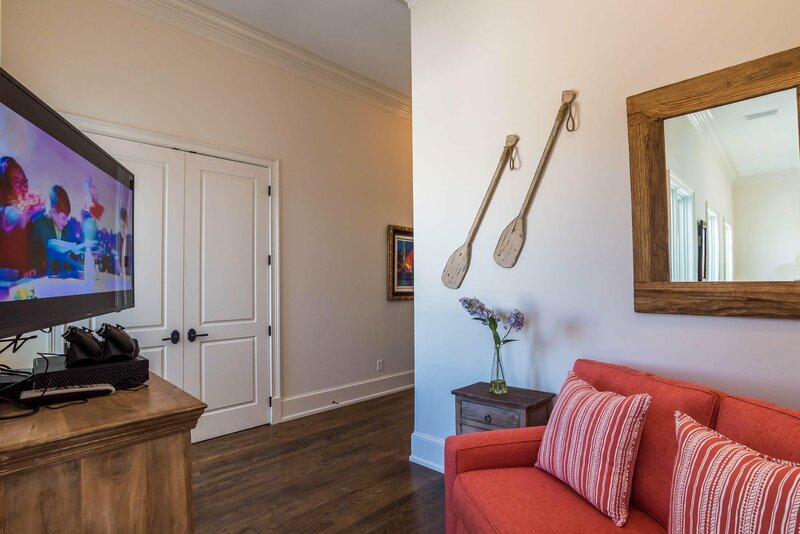 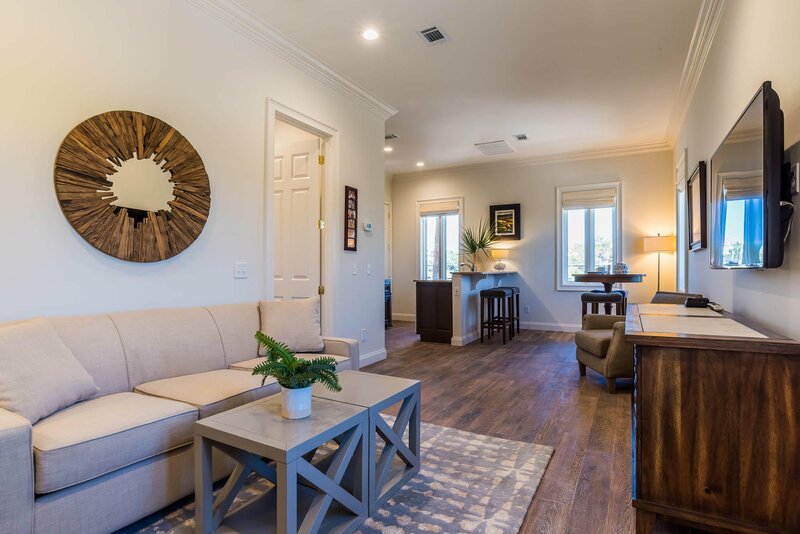 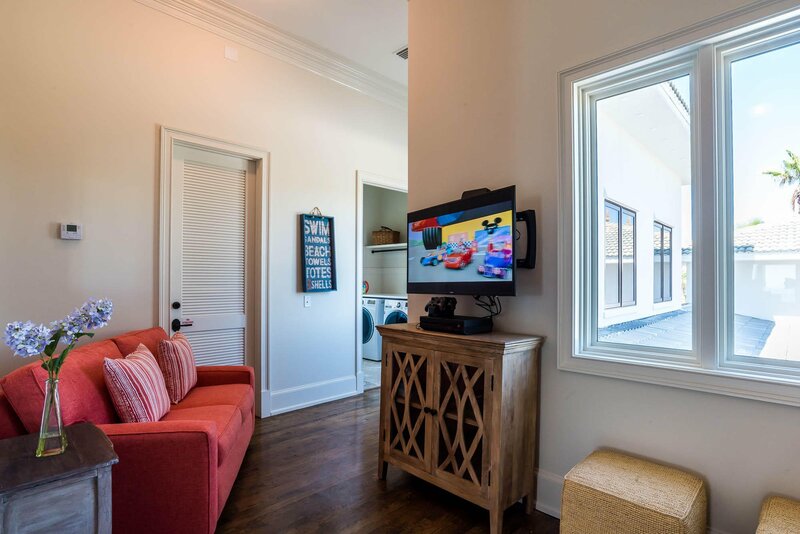 Additional amenities include a grand foyer, built-in bunks, two-car garage, ample parking, all the necessary AV wiring, a geothermal HVAC system and a large utility room with double washing machines and dryers. 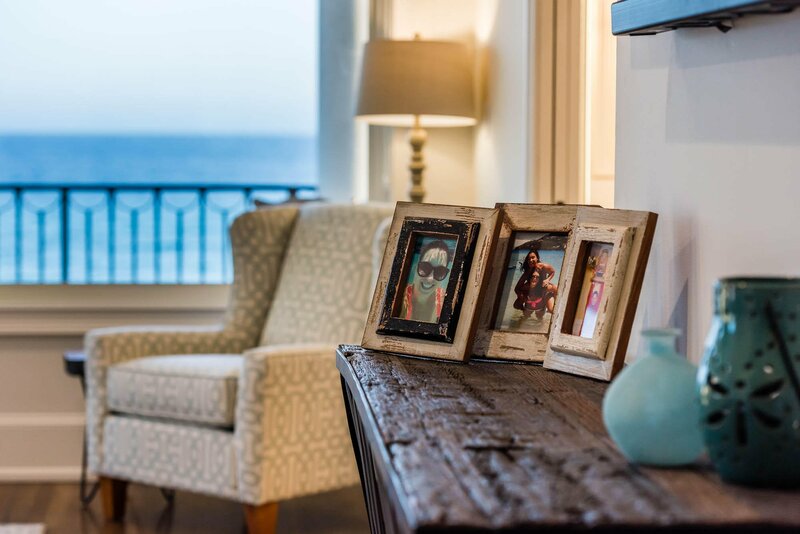 All furnishings with the exception of personal art convey with the property. 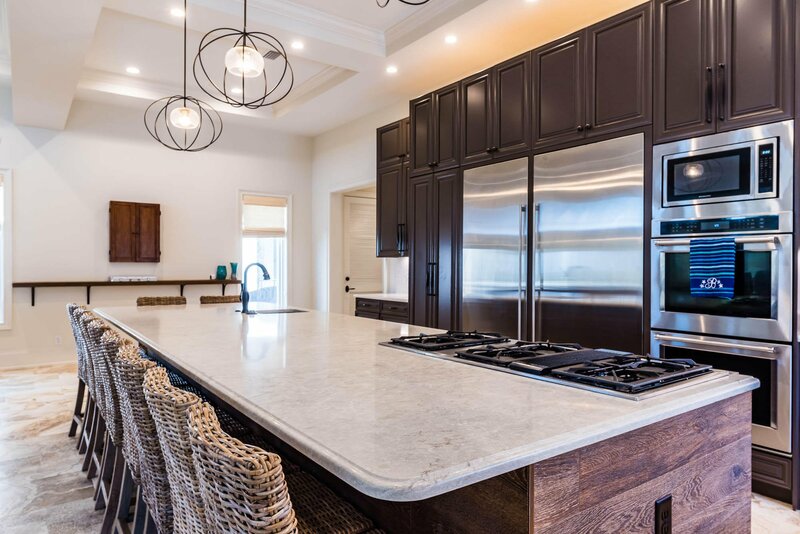 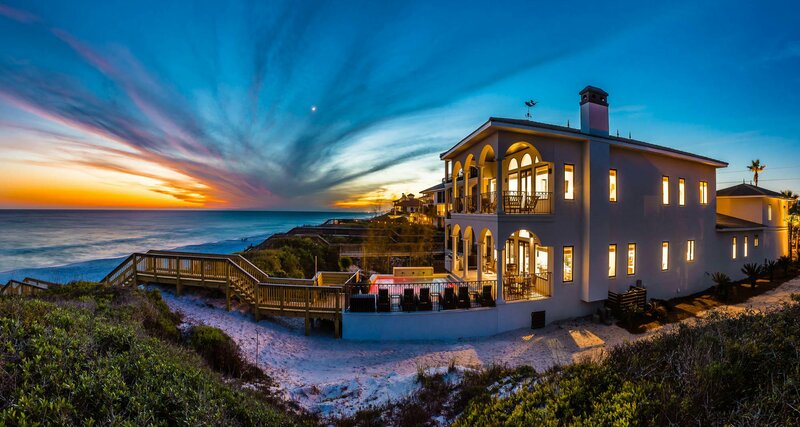 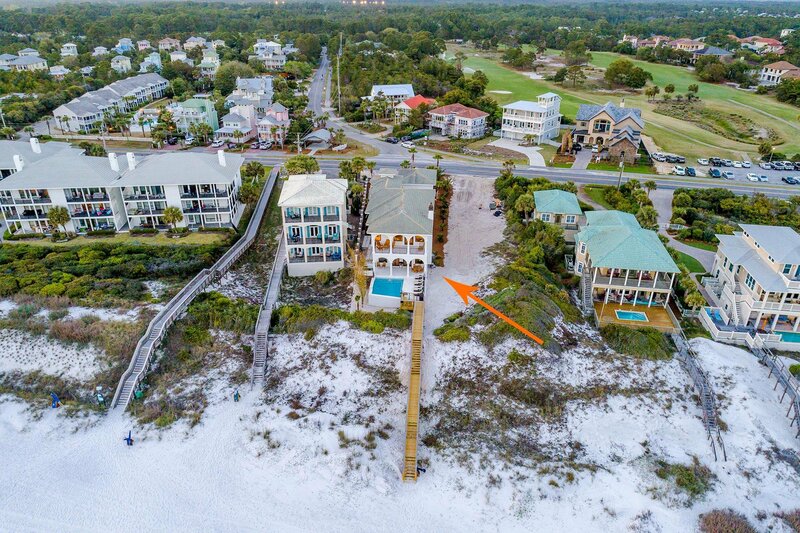 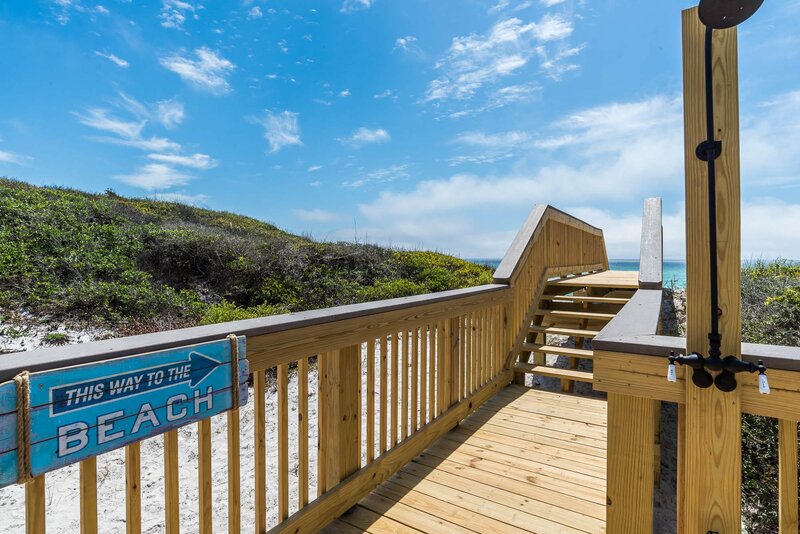 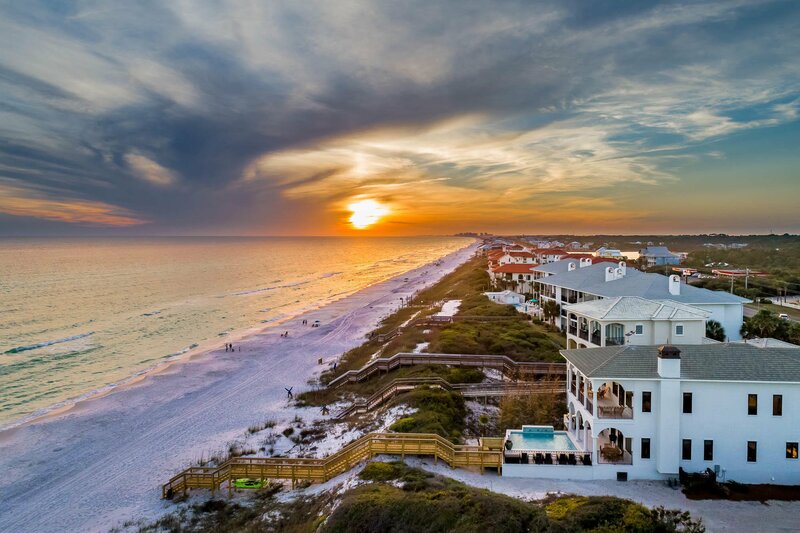 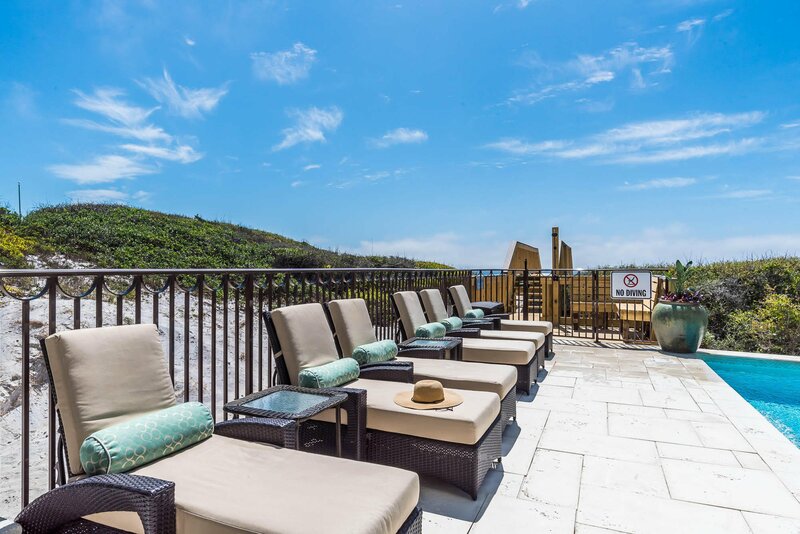 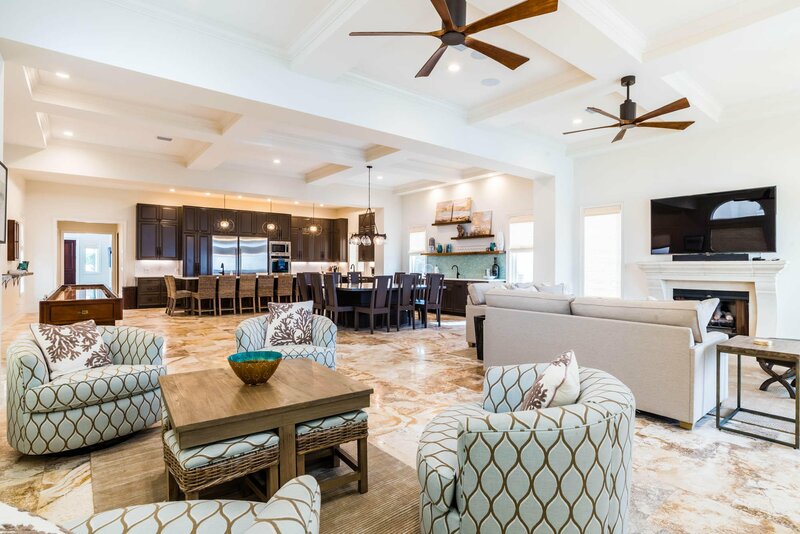 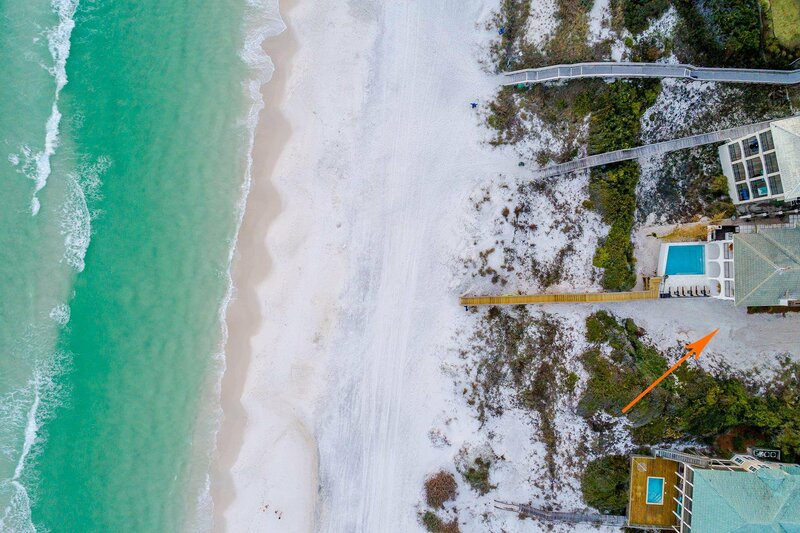 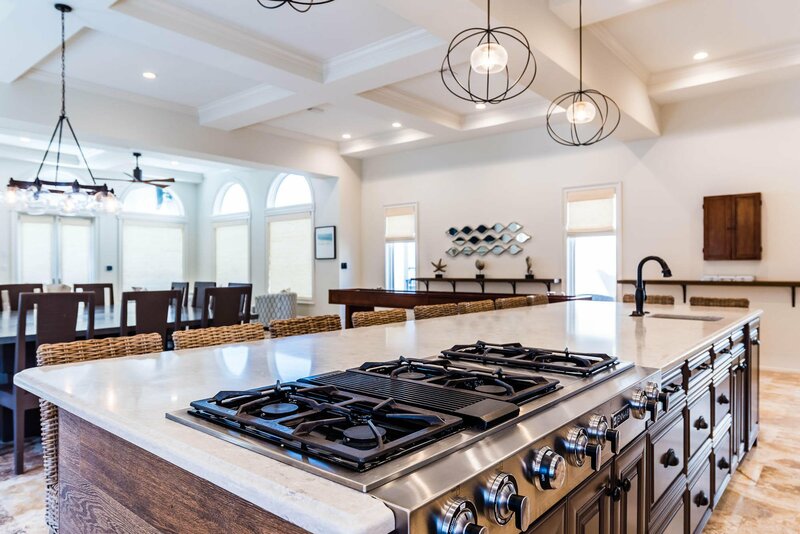 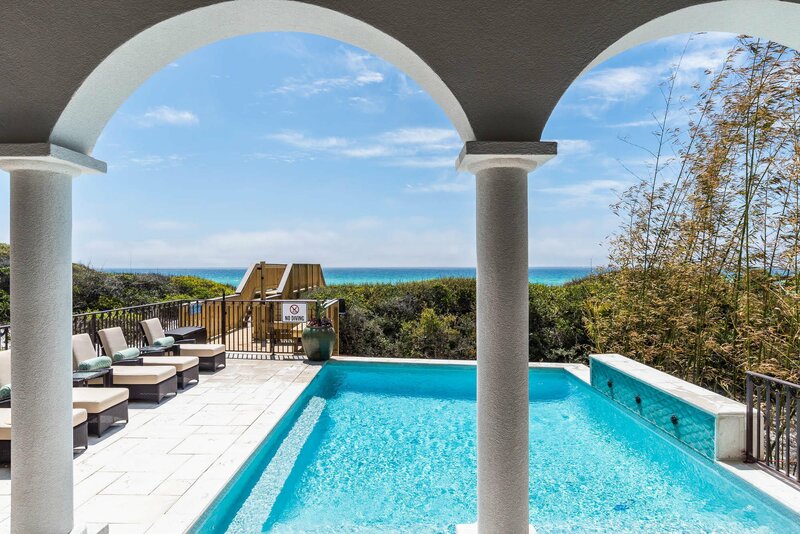 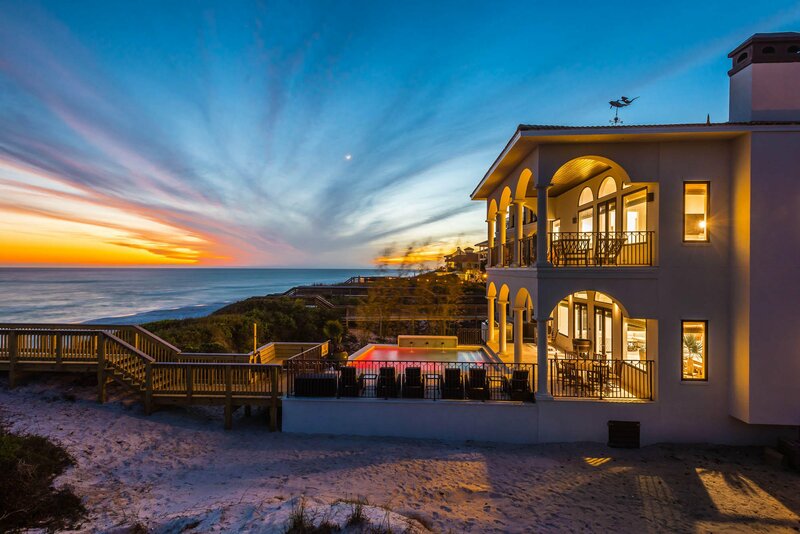 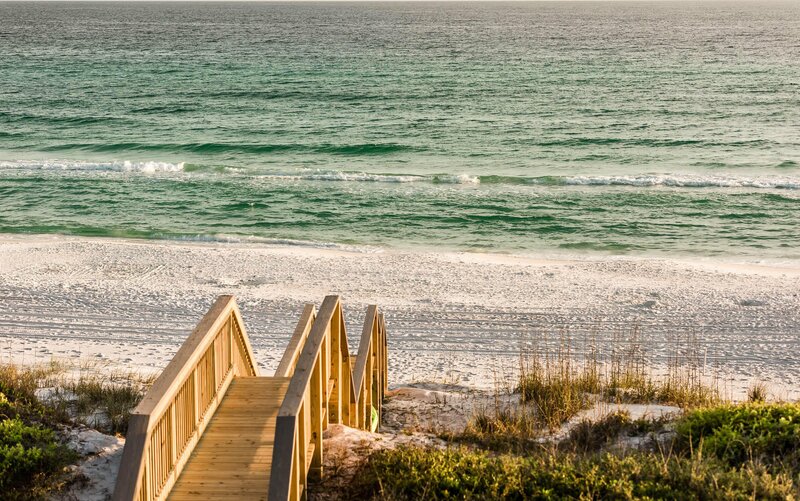 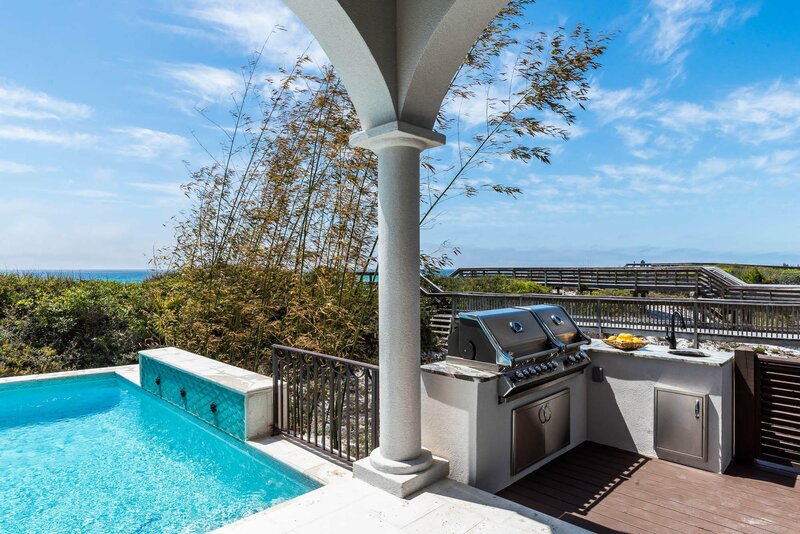 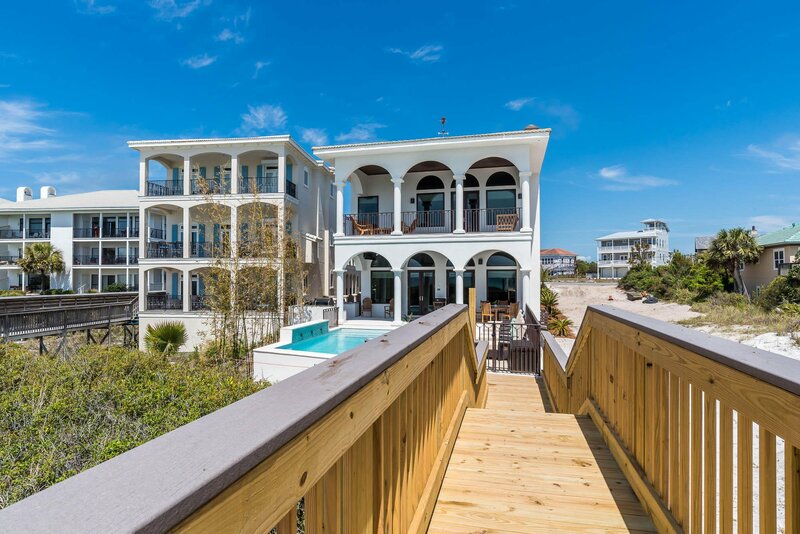 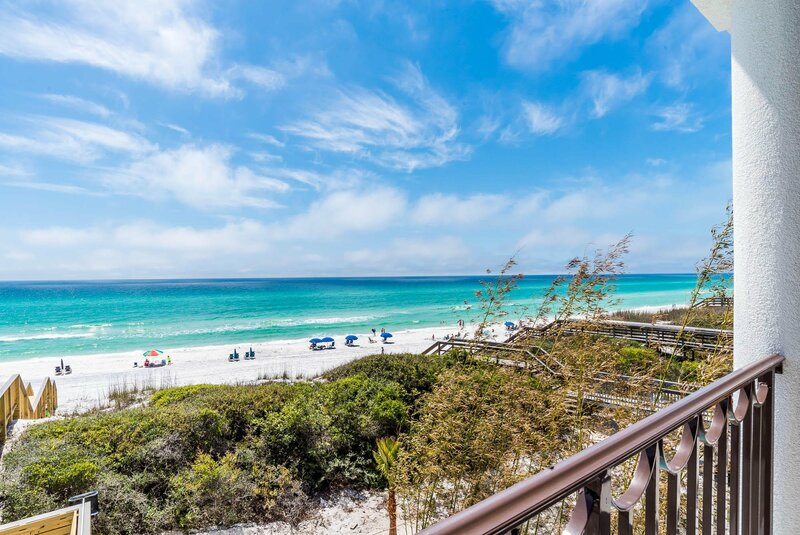 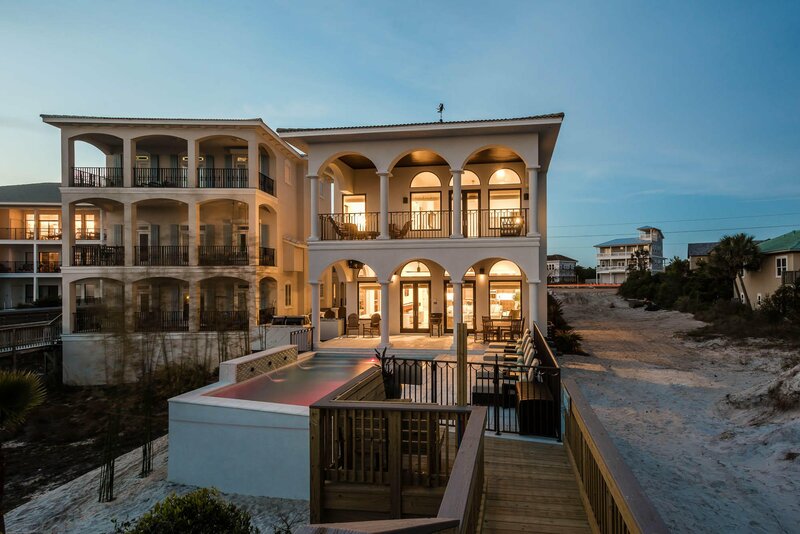 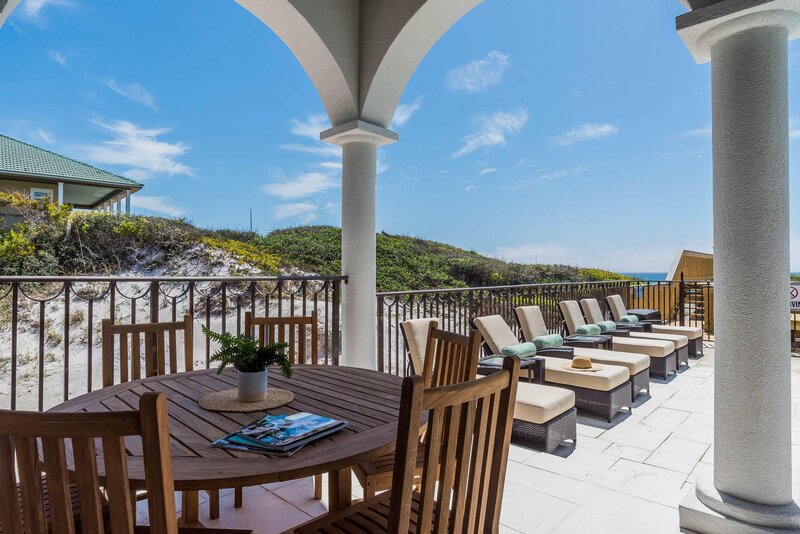 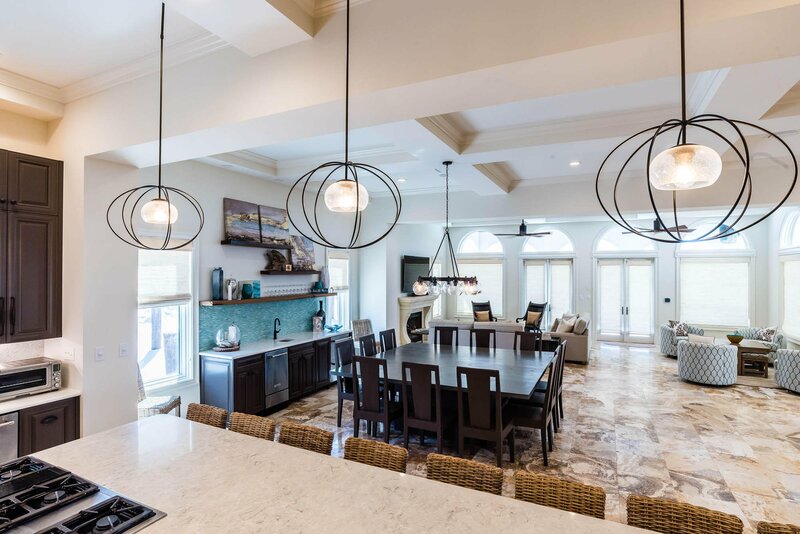 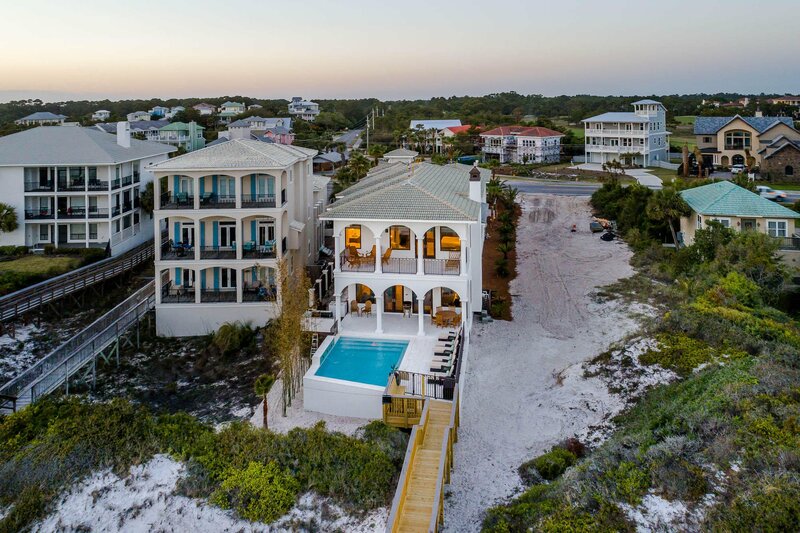 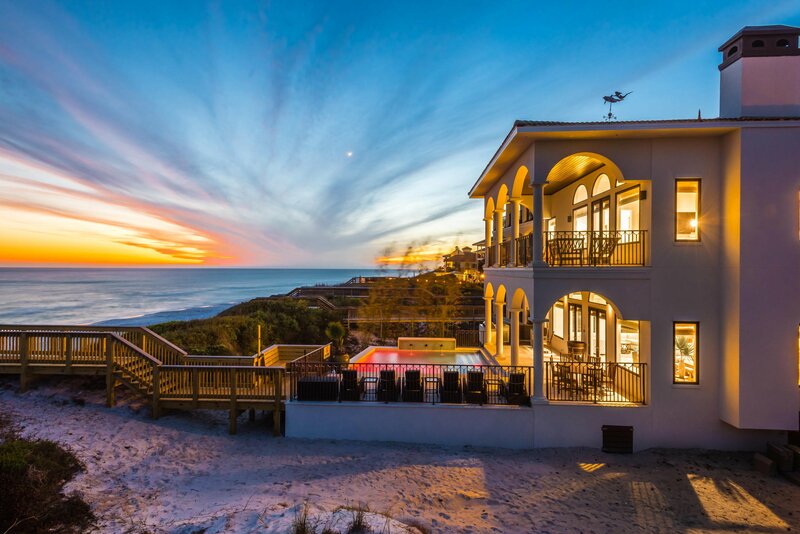 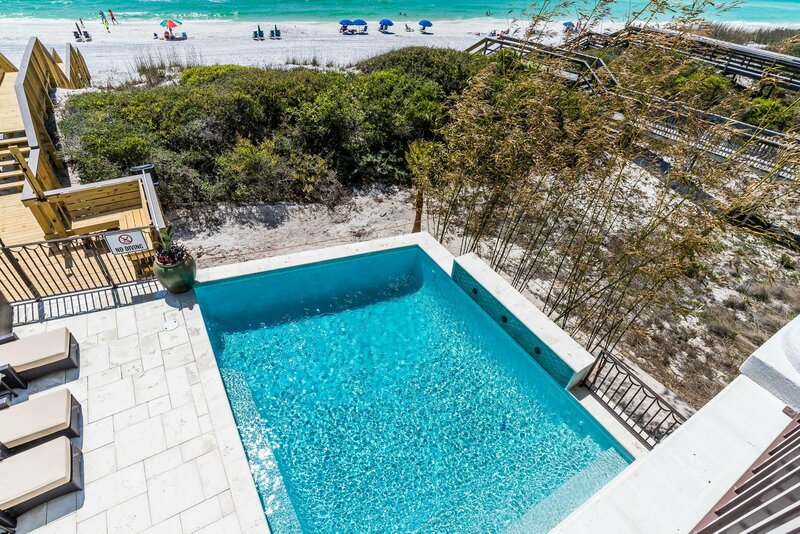 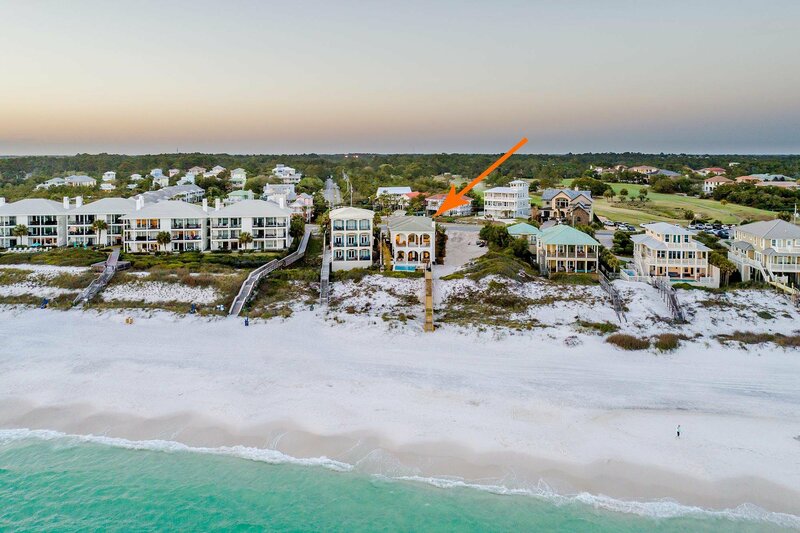 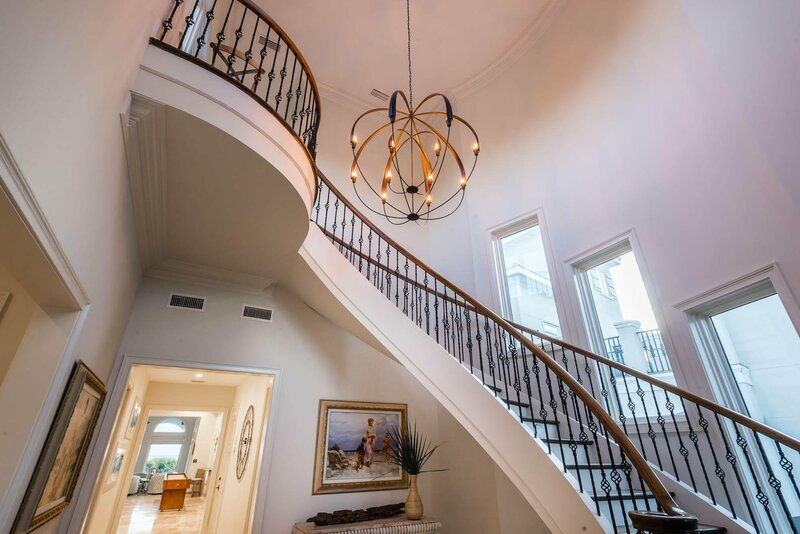 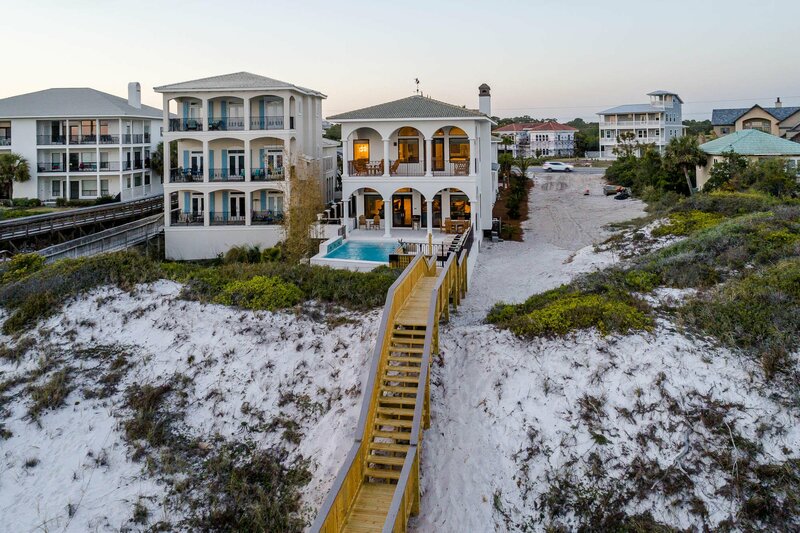 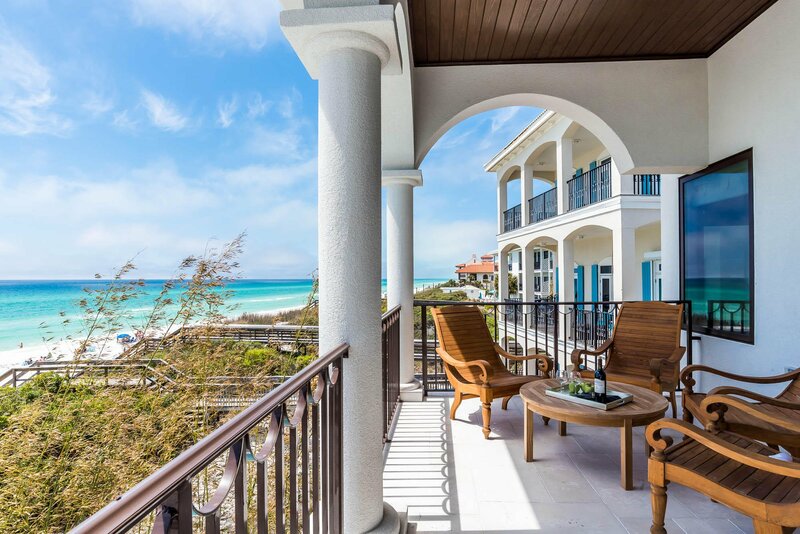 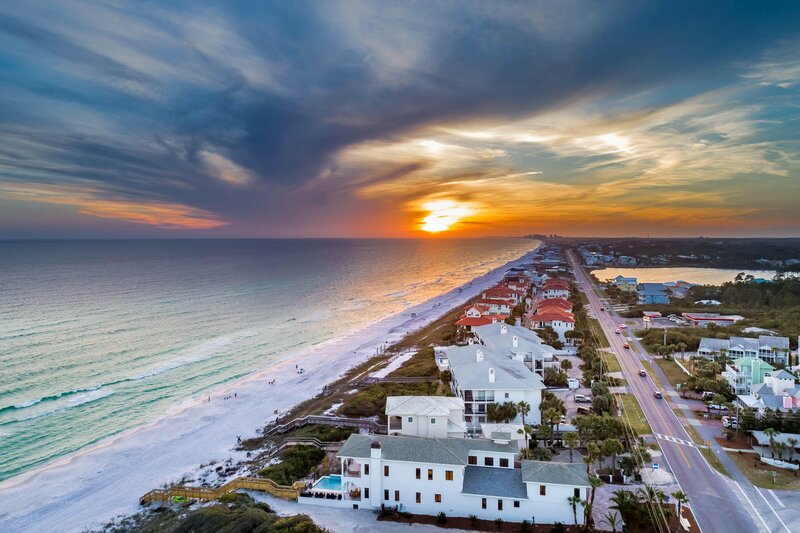 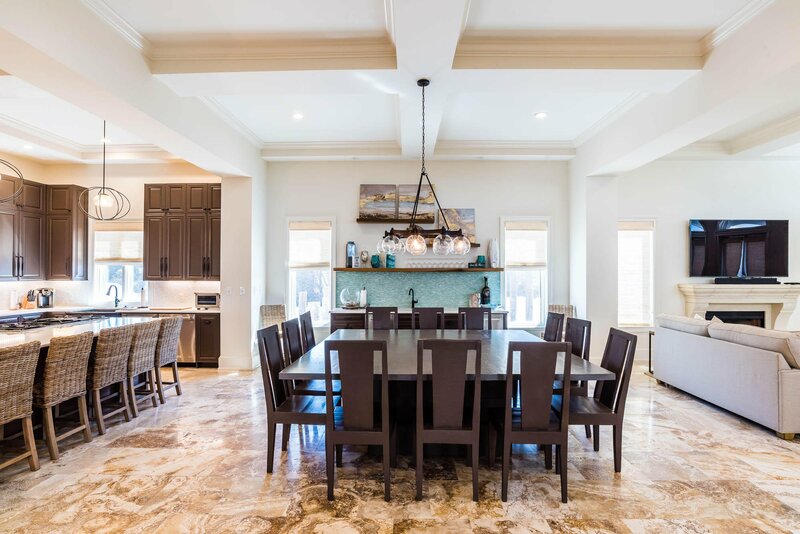 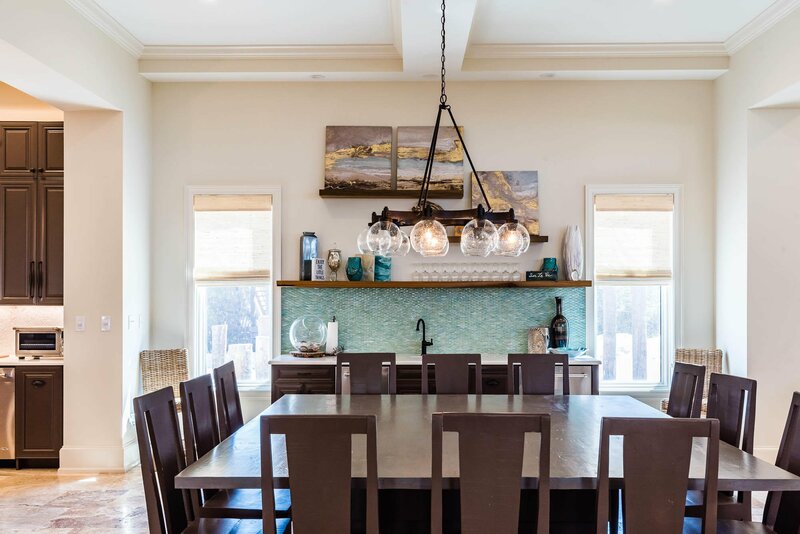 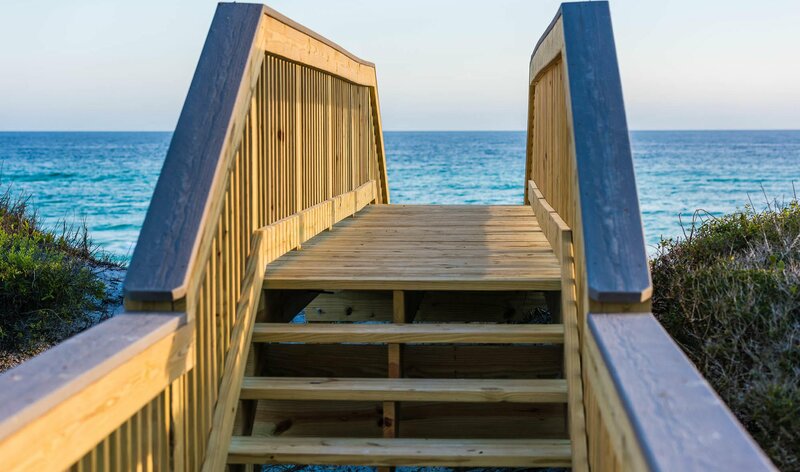 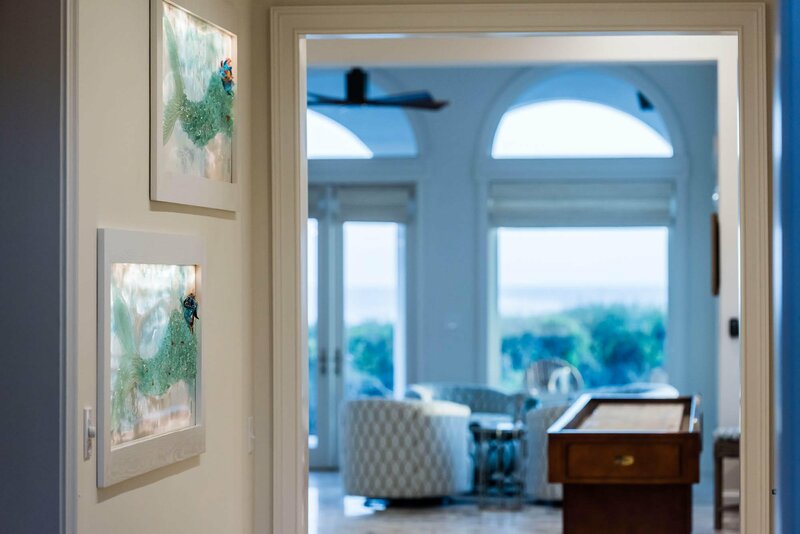 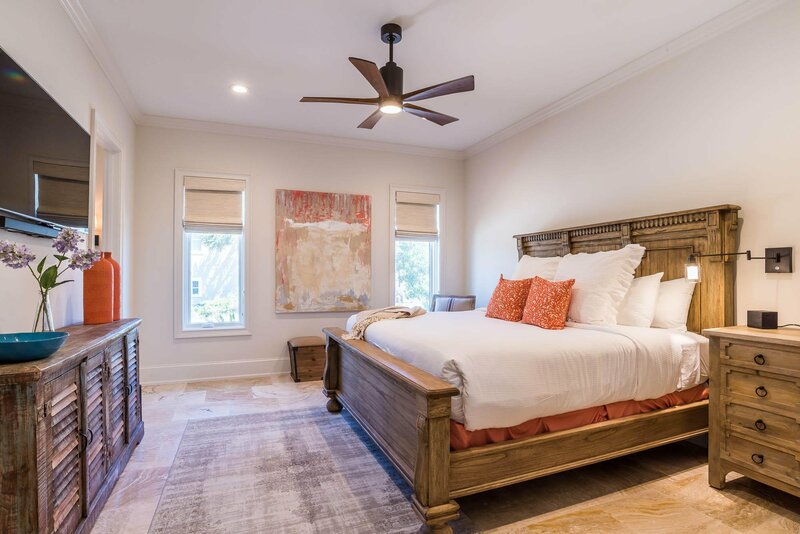 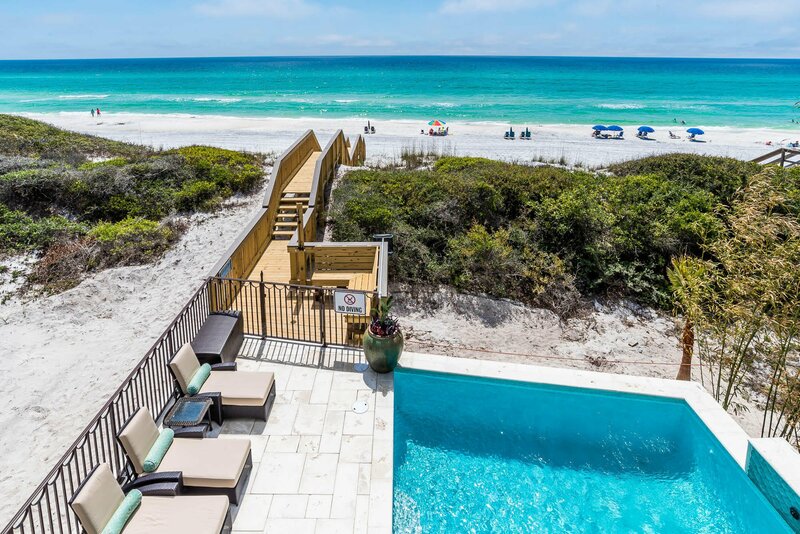 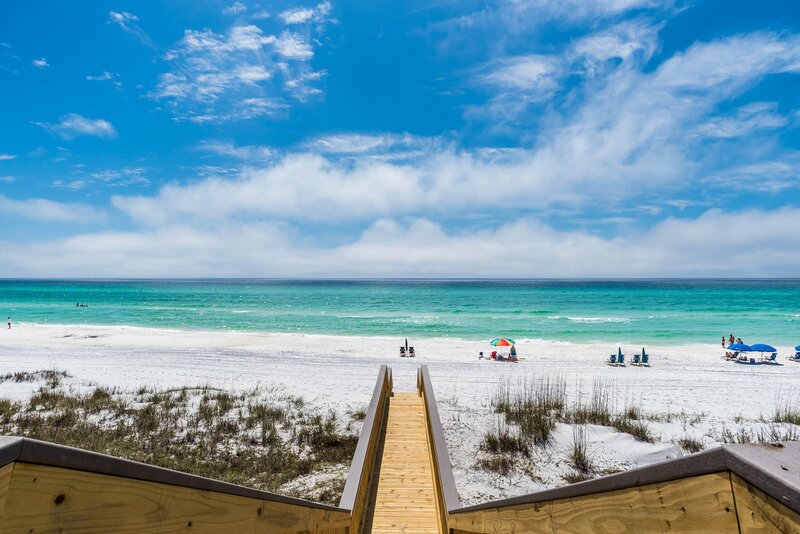 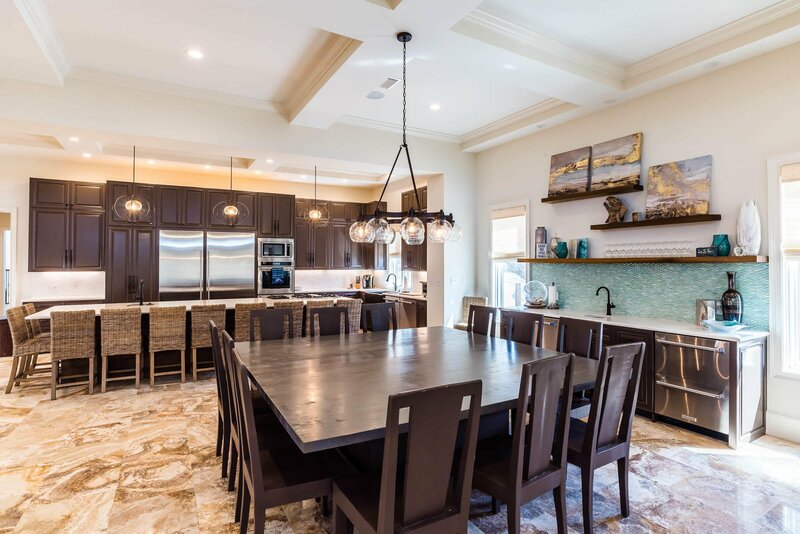 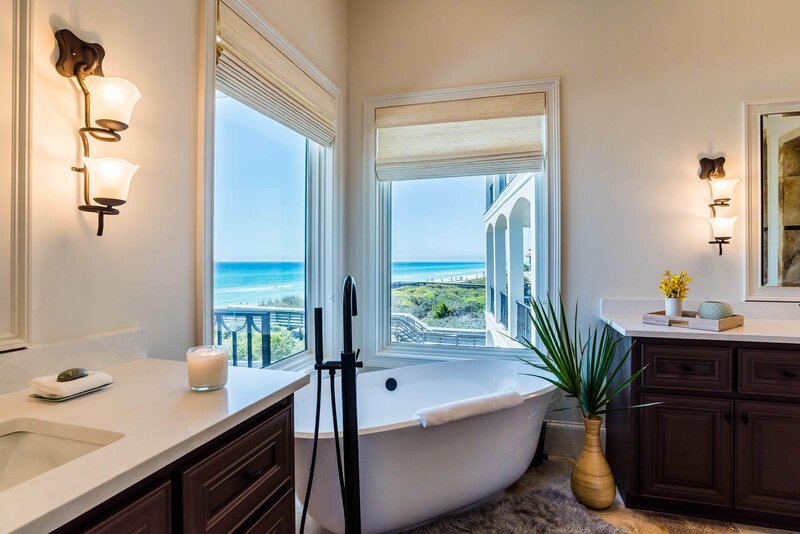 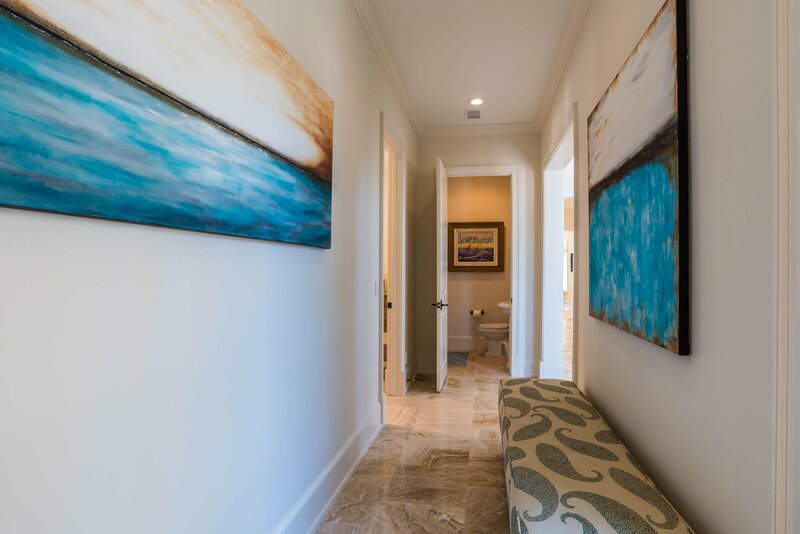 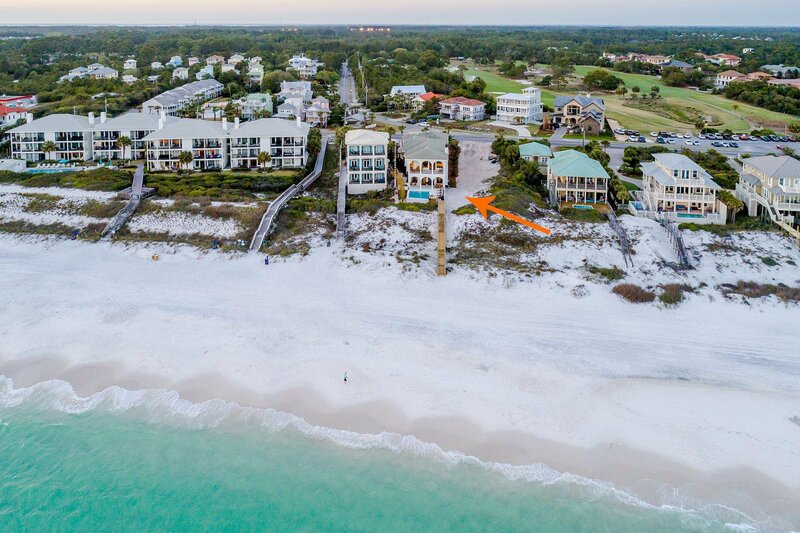 Located in Dune Allen, this property is conveniently located close to everything 30A has to offer including first-class shopping, luxury dining and world-class fishing. 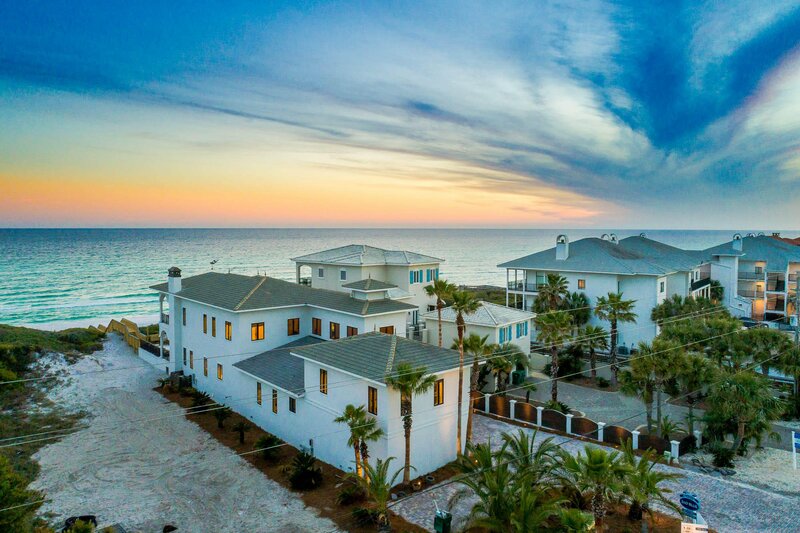 Do not miss the opportunity to experience Gulf front luxury living at its finest. 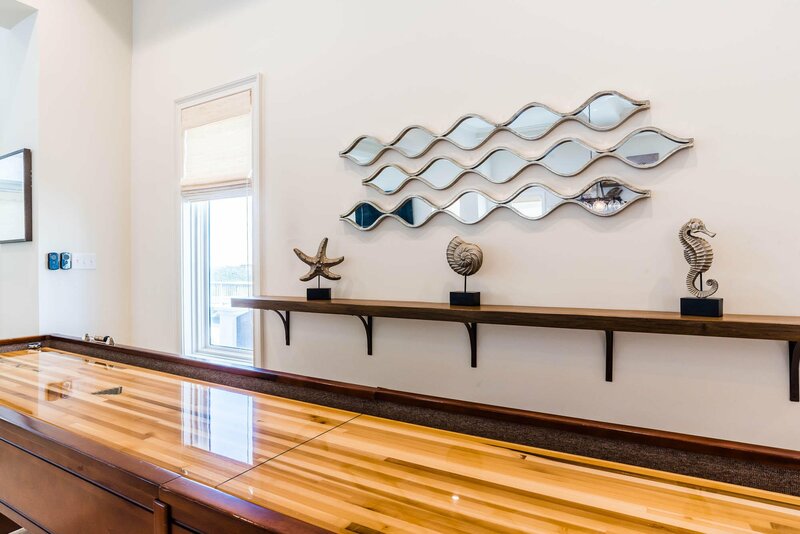 Buyer to verify all dimensions.